 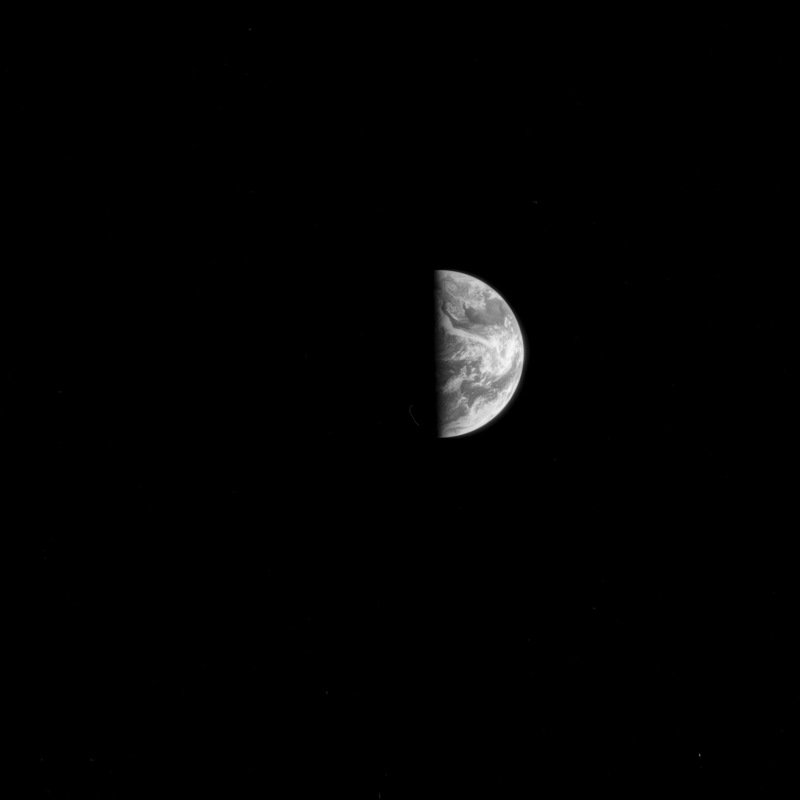 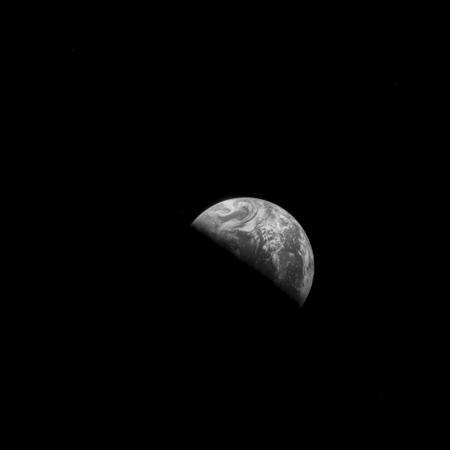 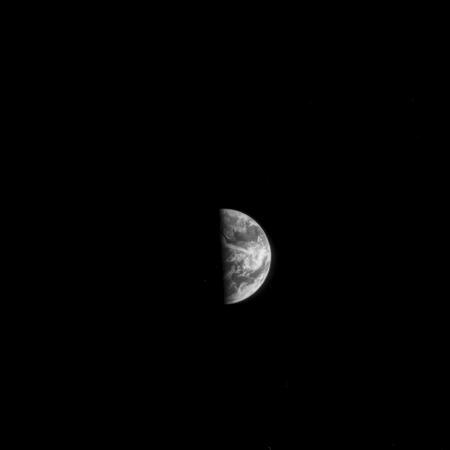 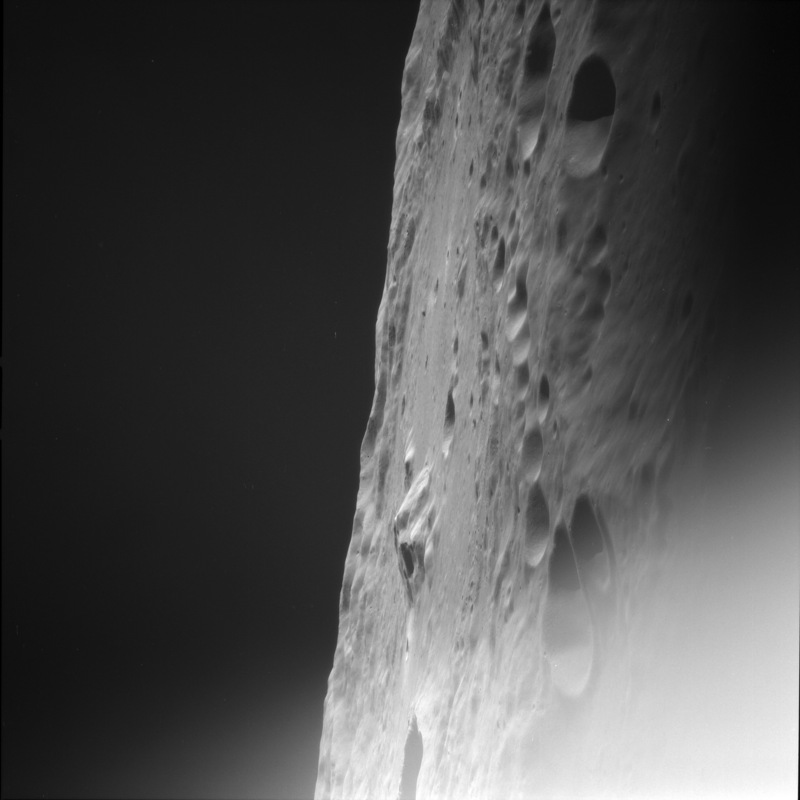 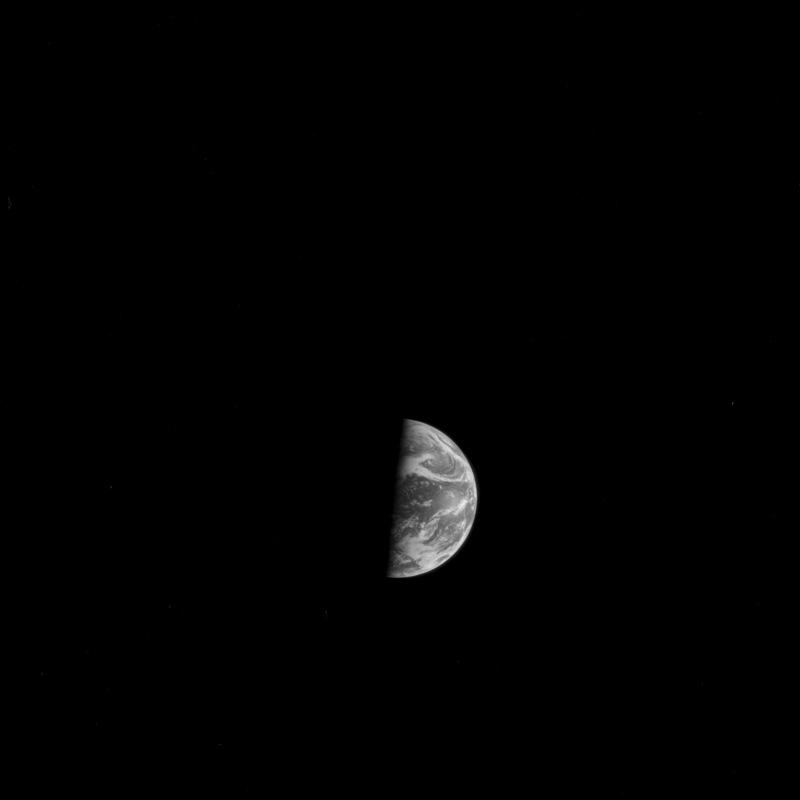 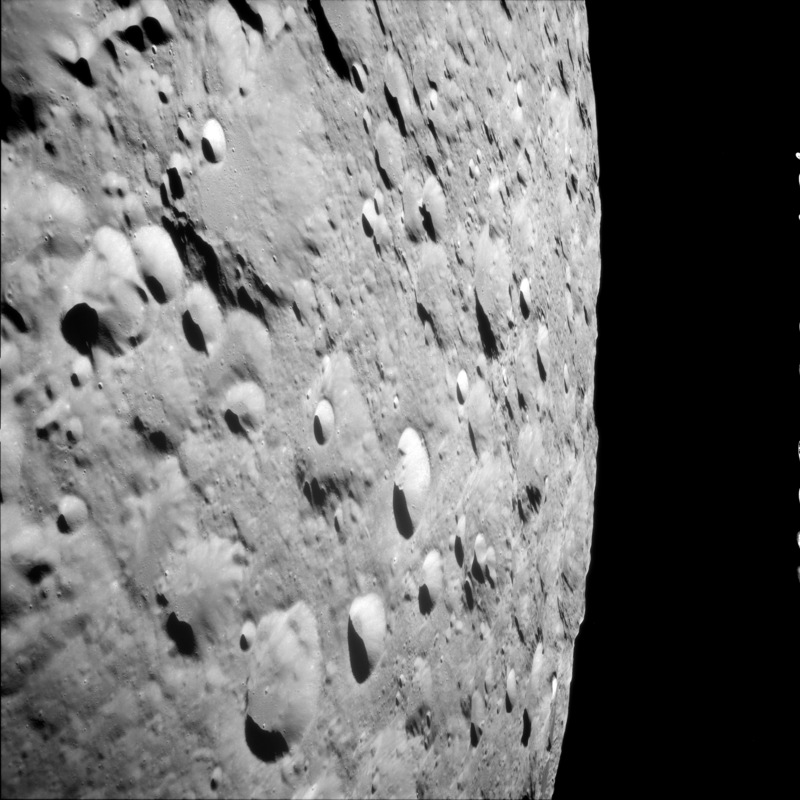 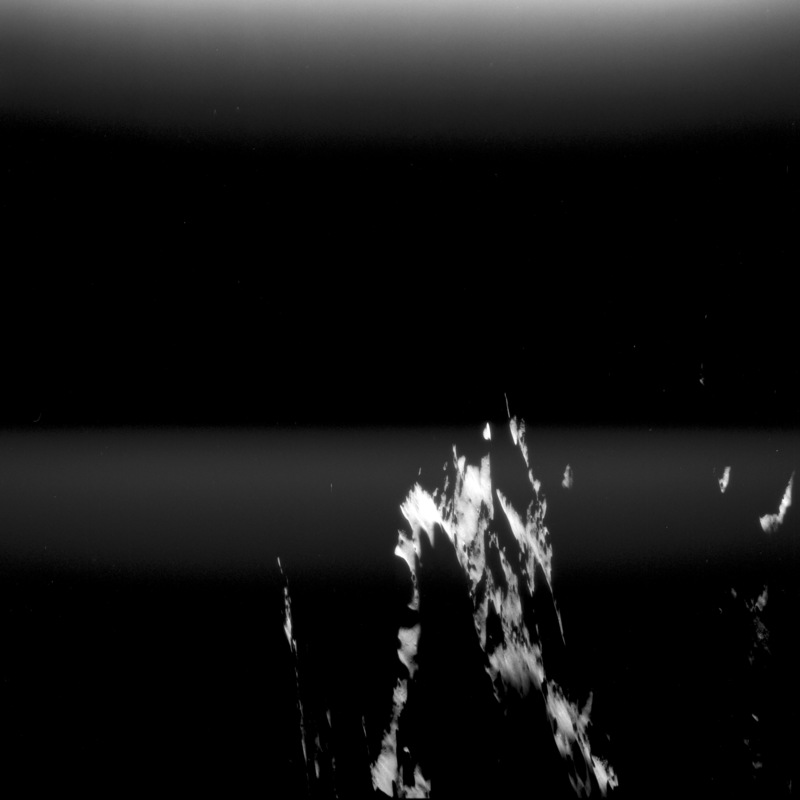 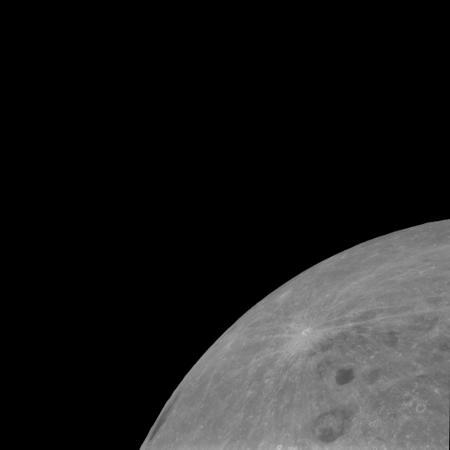 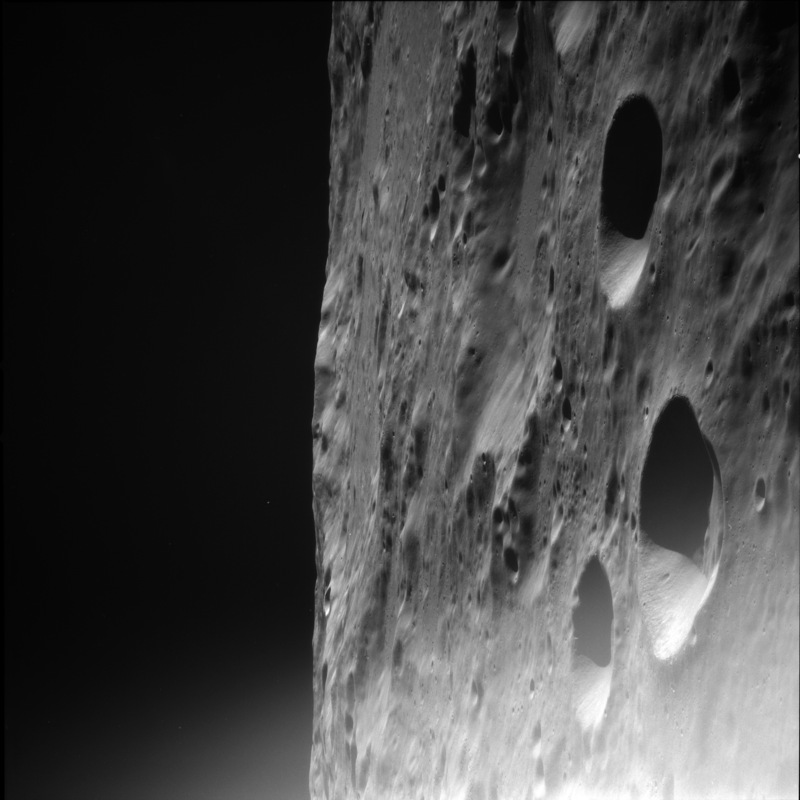 Crater Heaviside on the horizon. 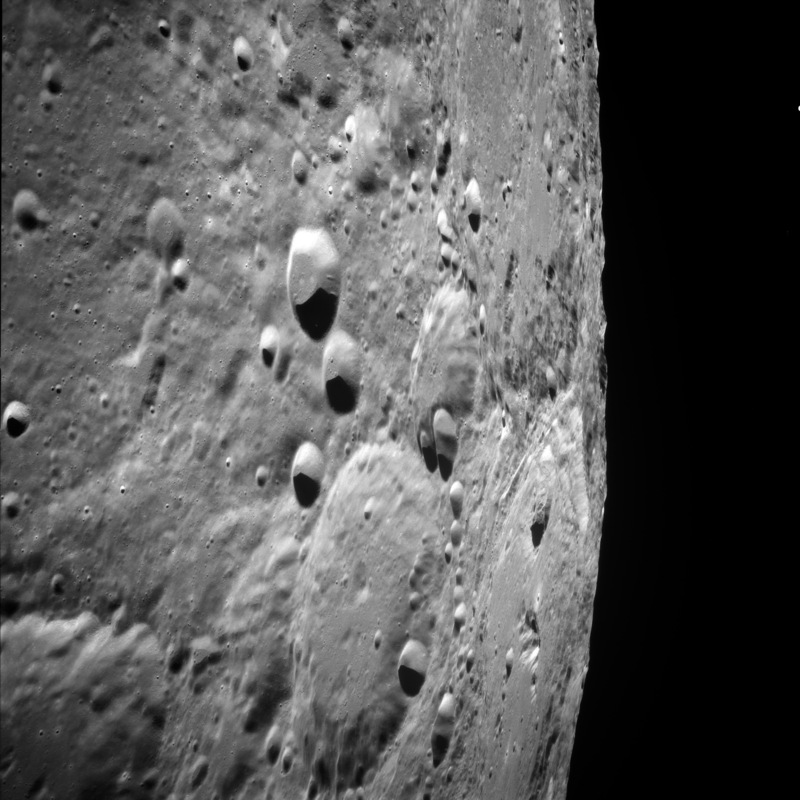 Crater Heaviside on the horizon. 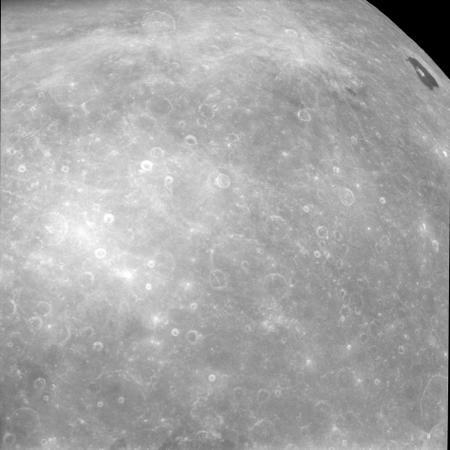 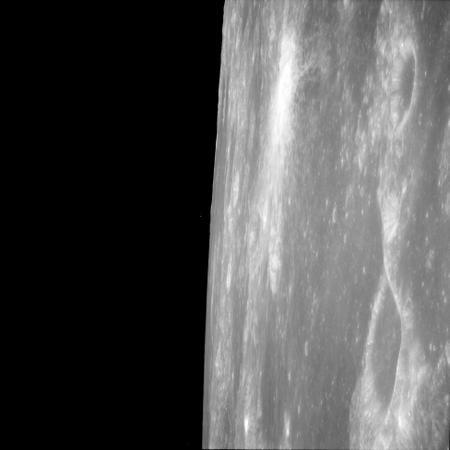 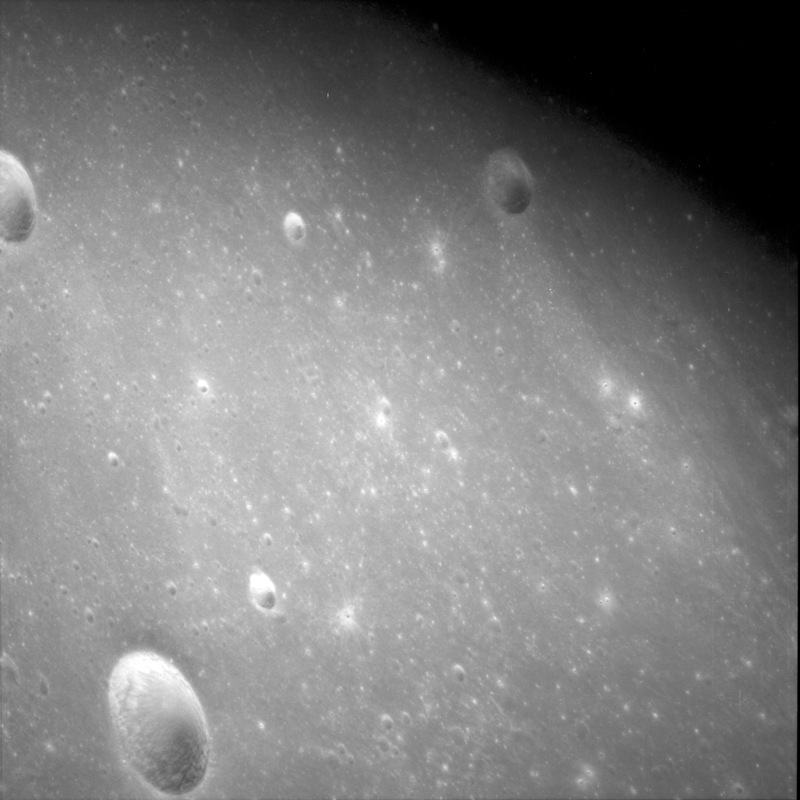 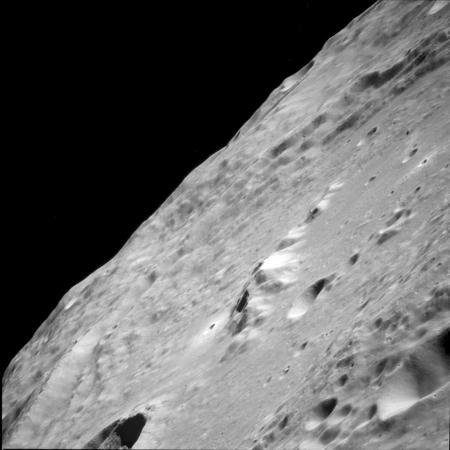 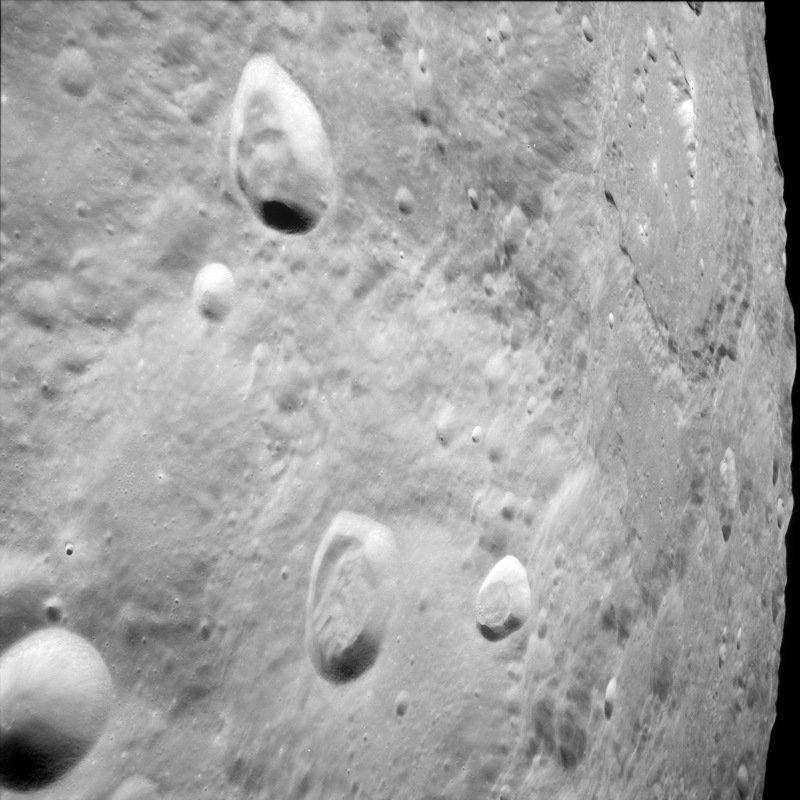 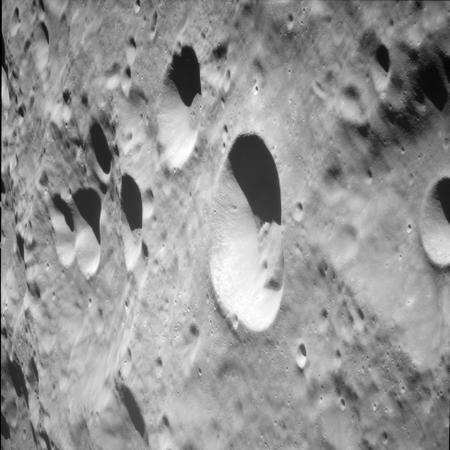 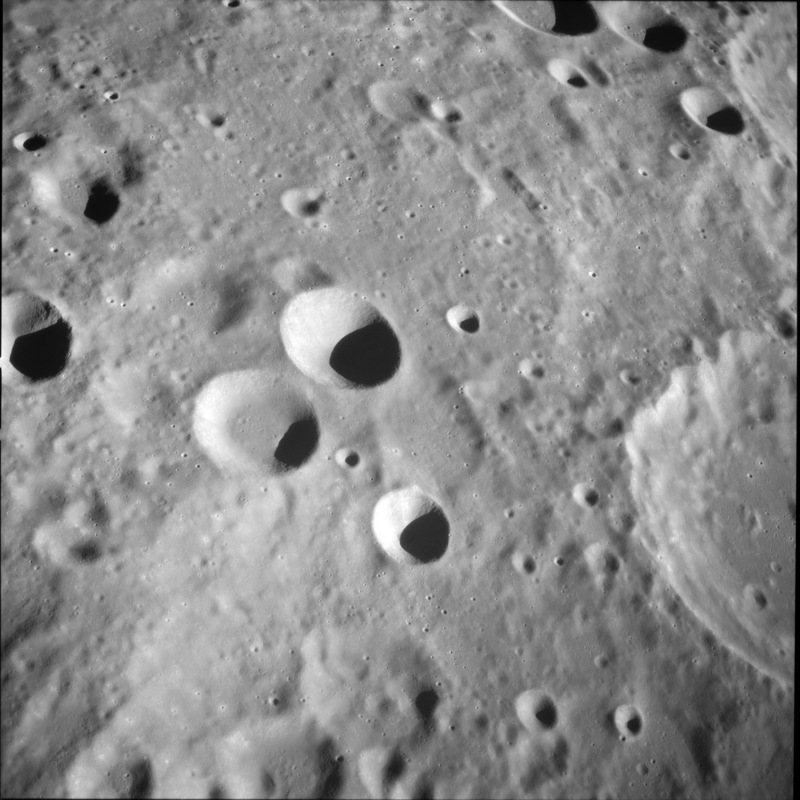 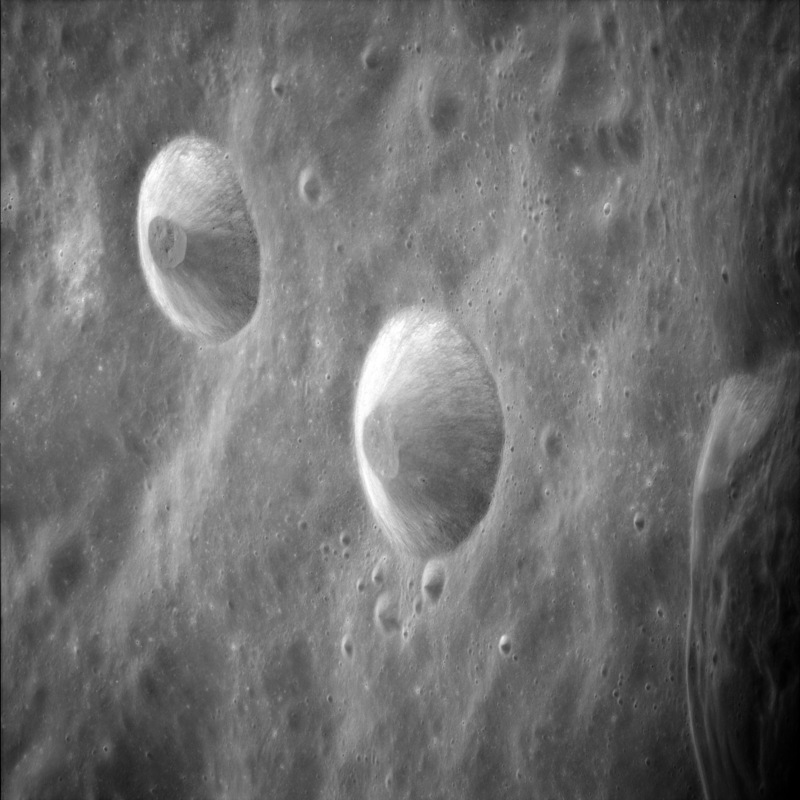 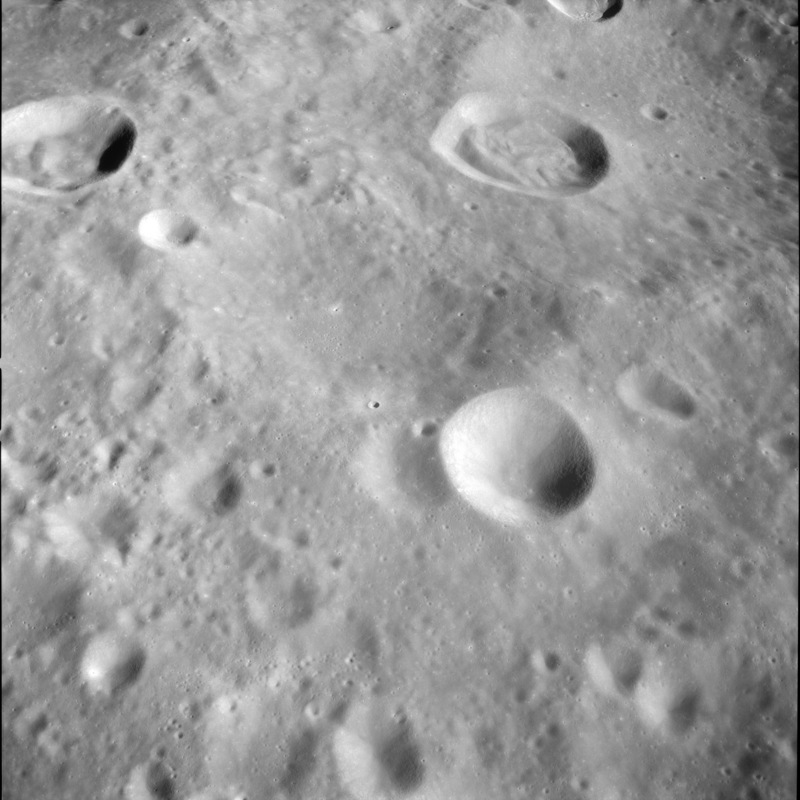 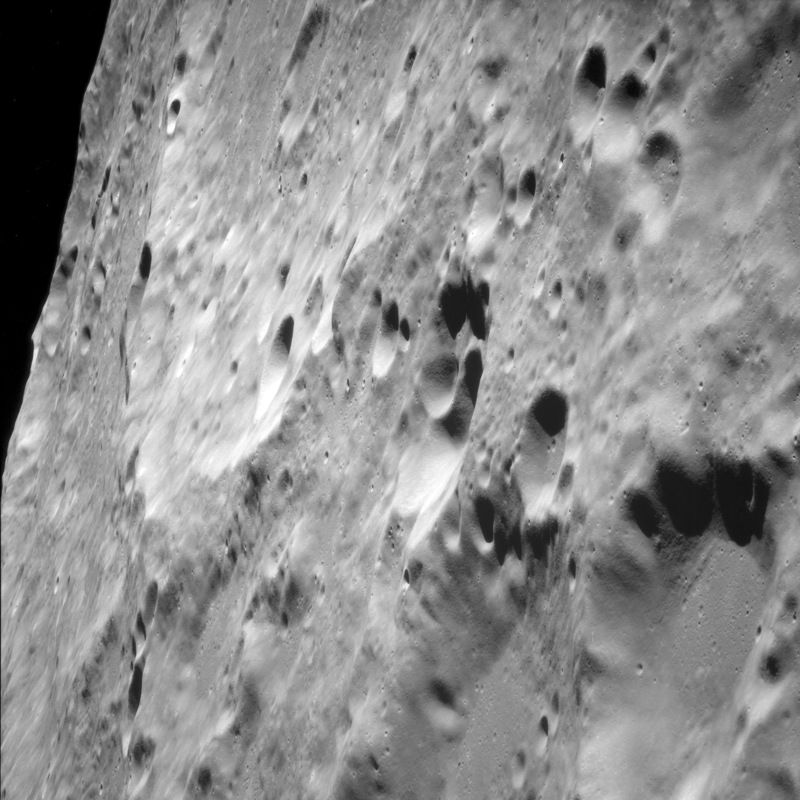 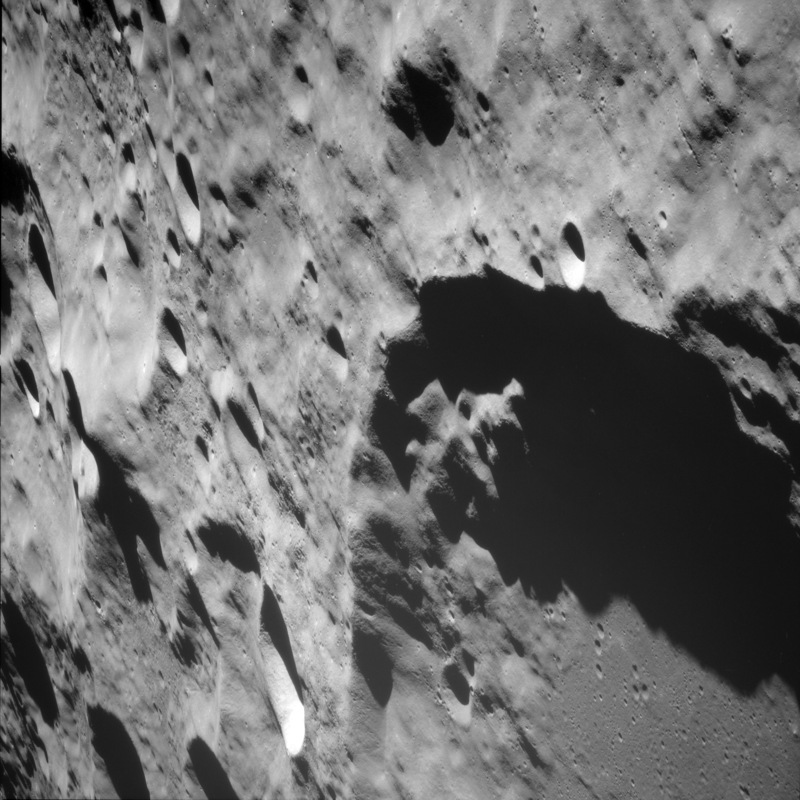 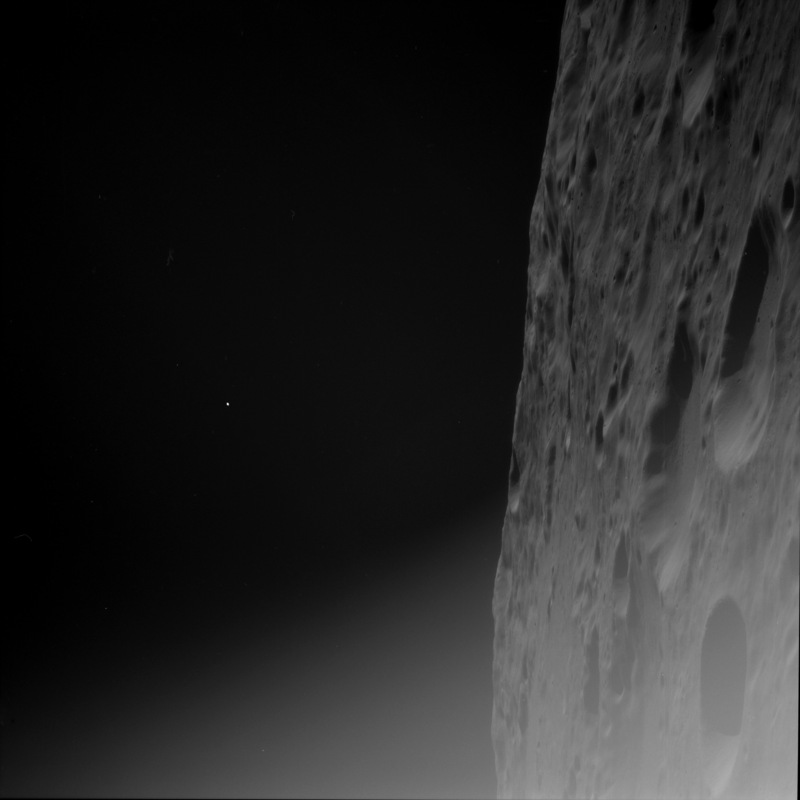 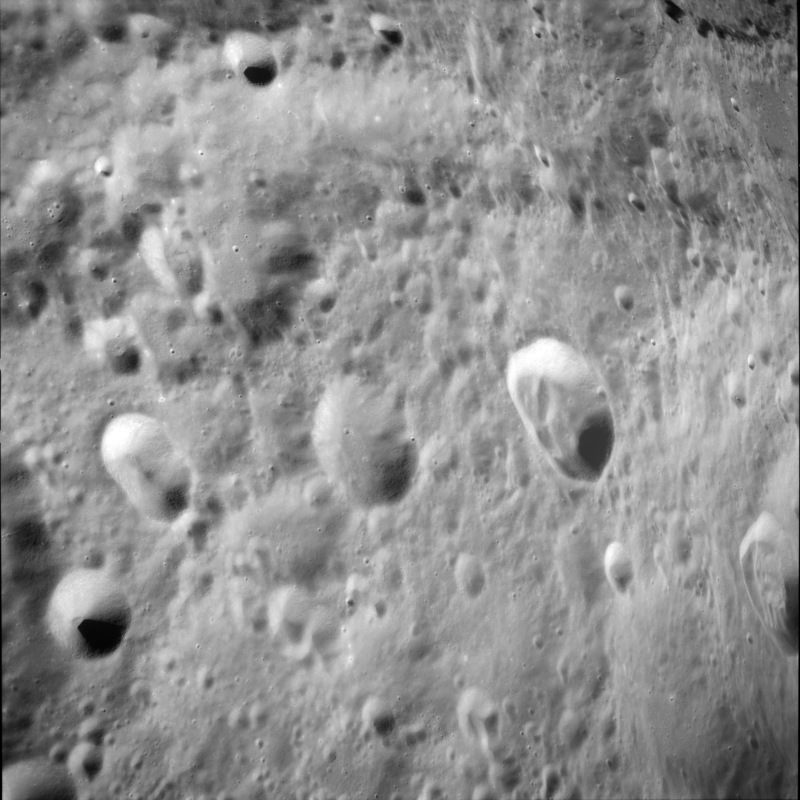 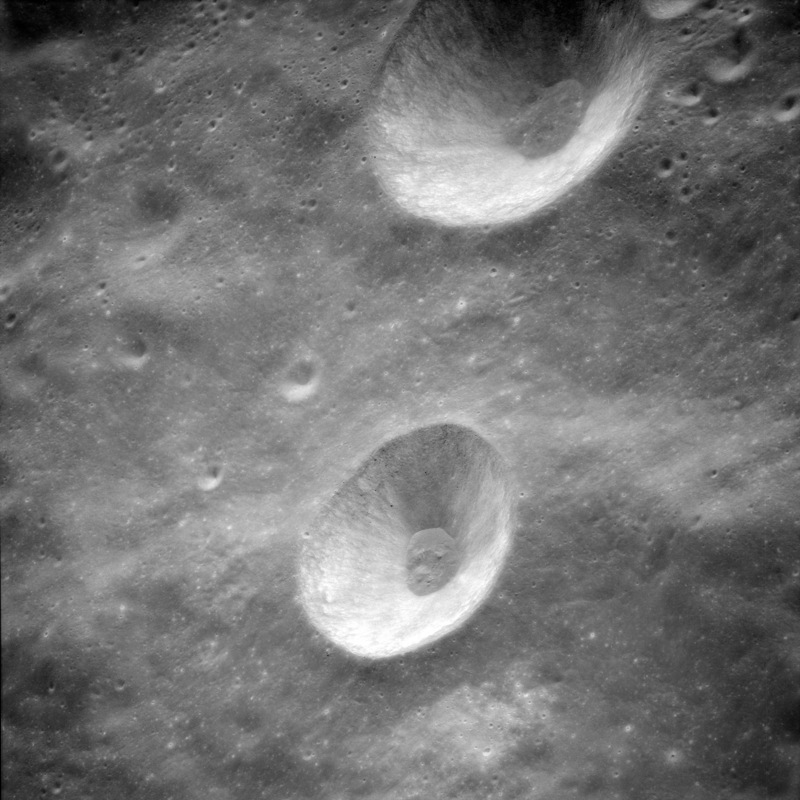 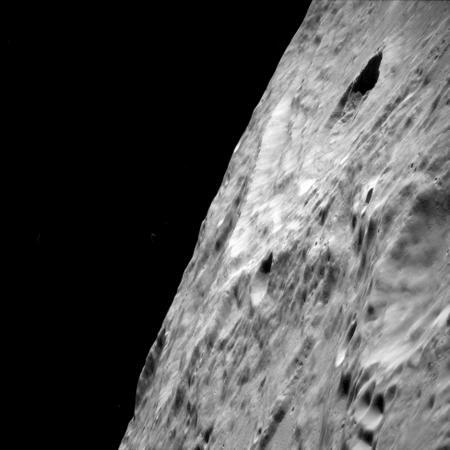 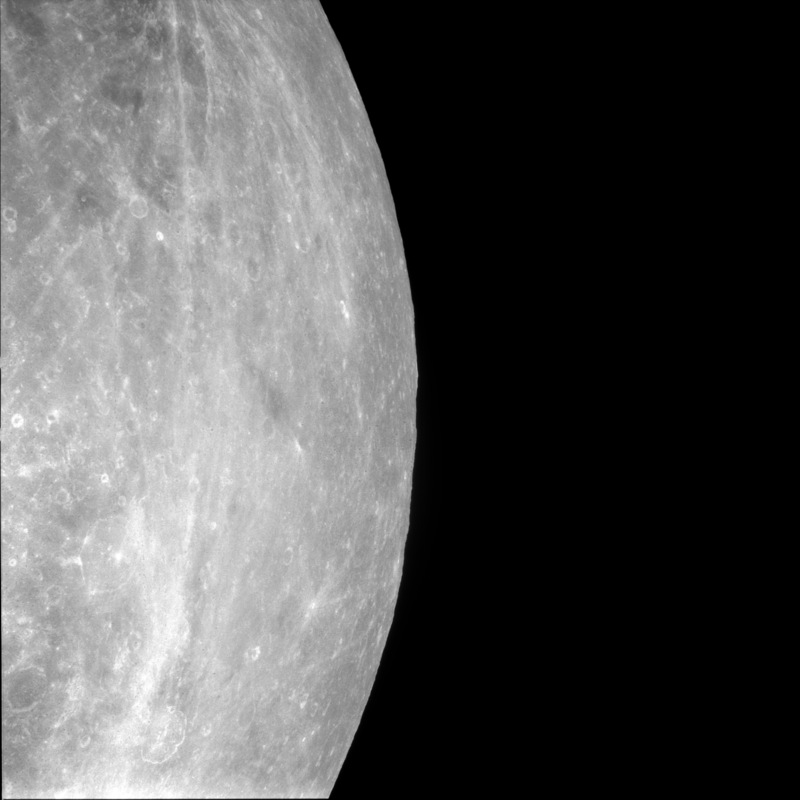 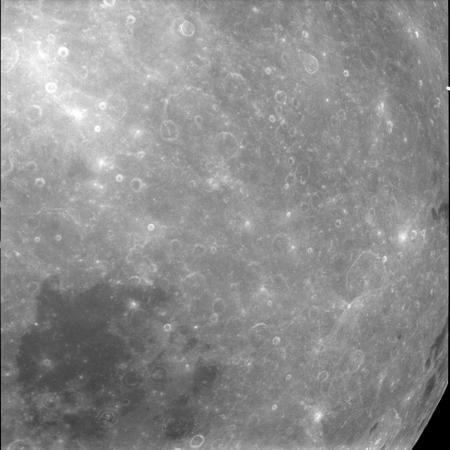 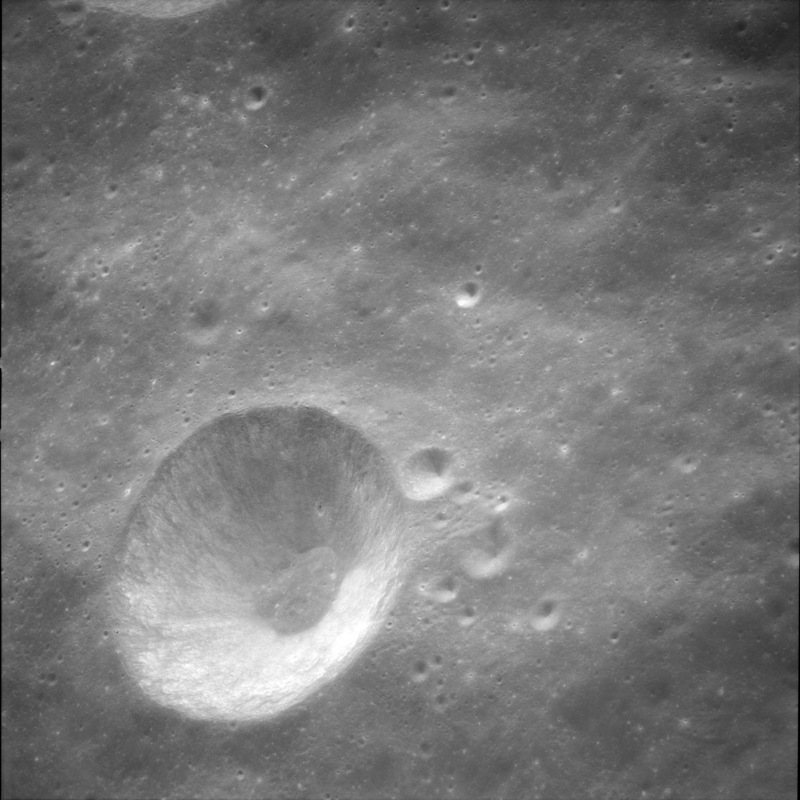 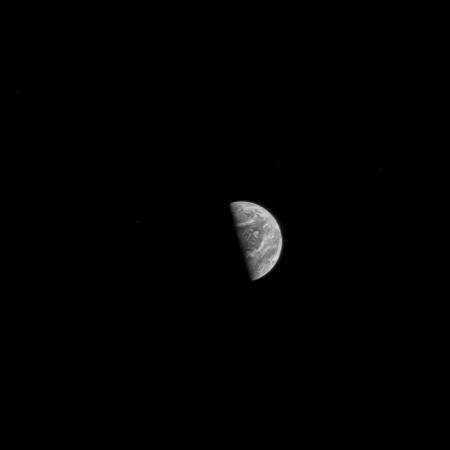 Crater Daedalus S is nearest major foreground feature. 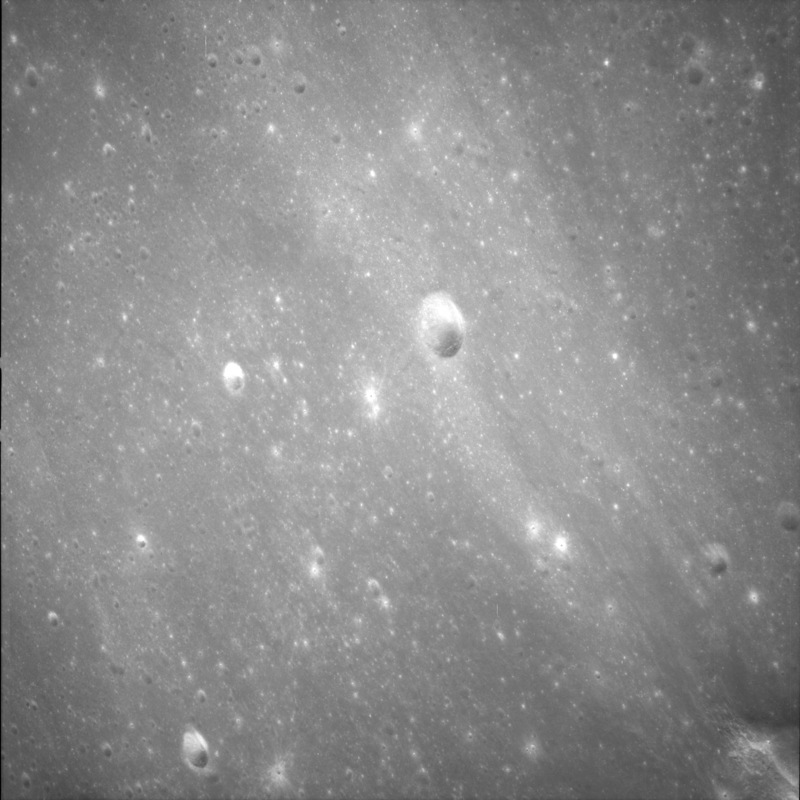 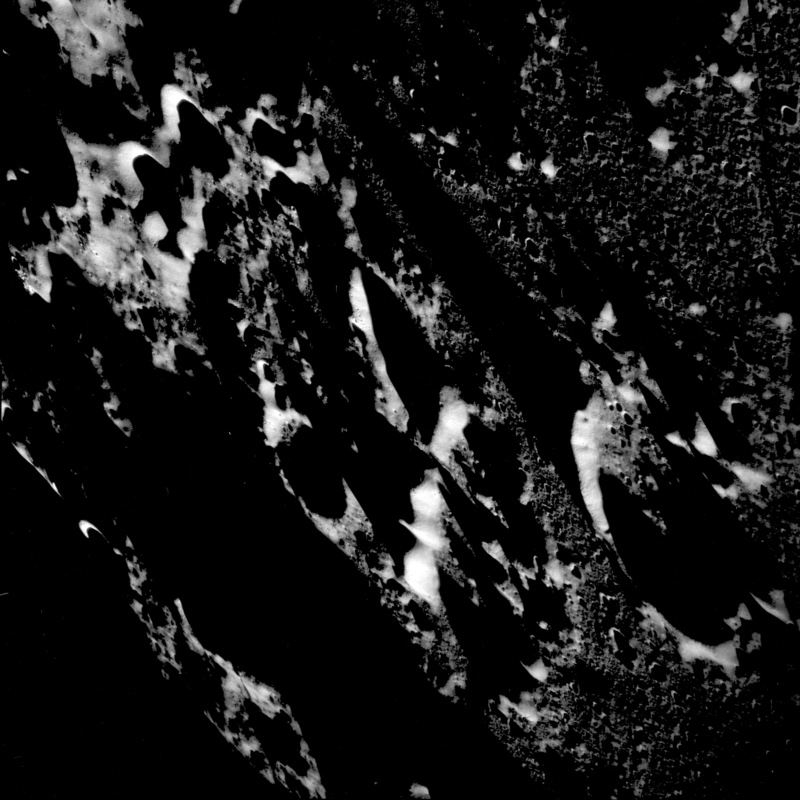 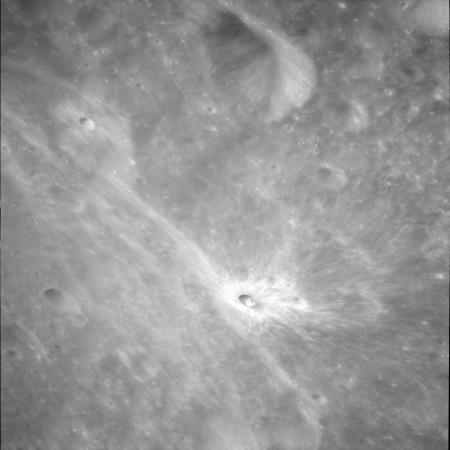 Area south of crater Coriolis. 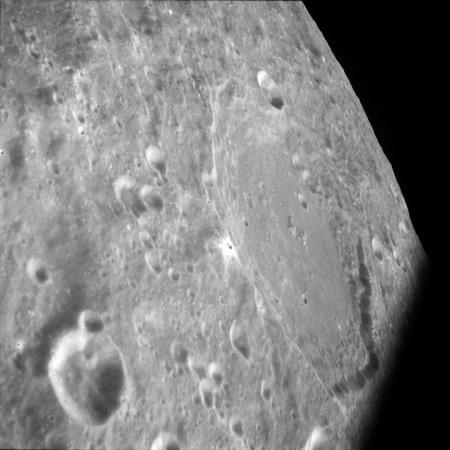 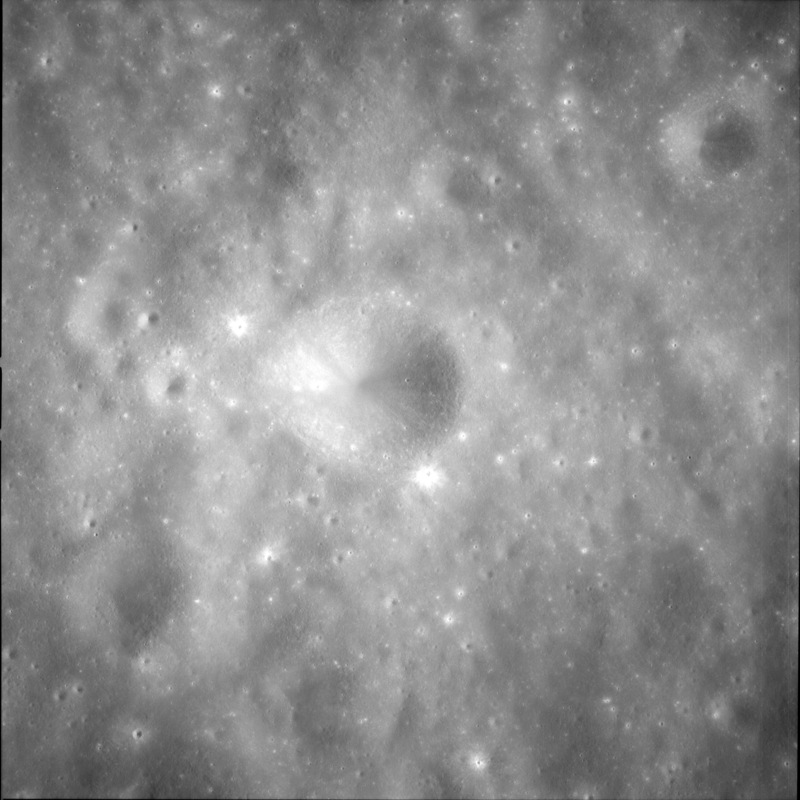 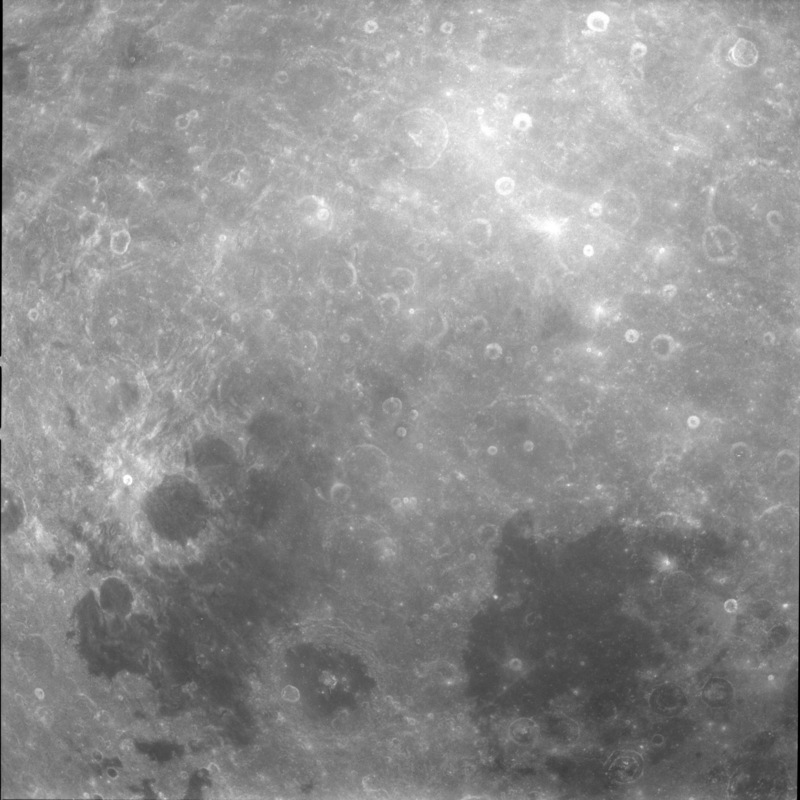 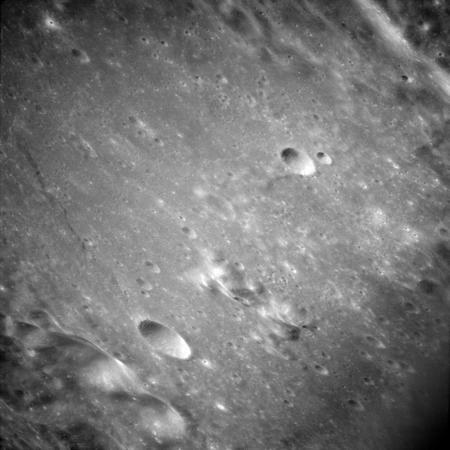 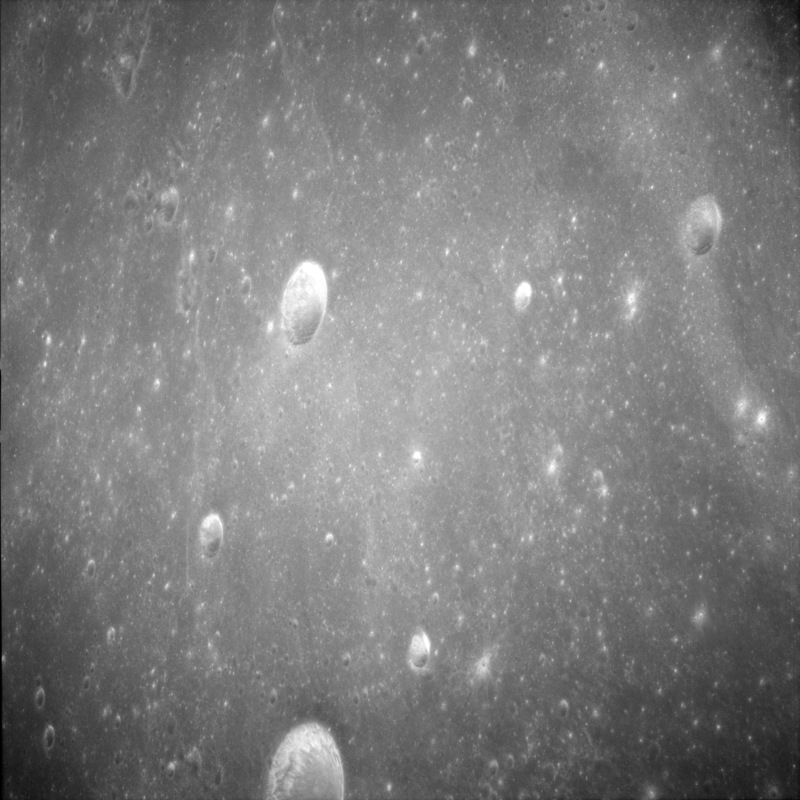 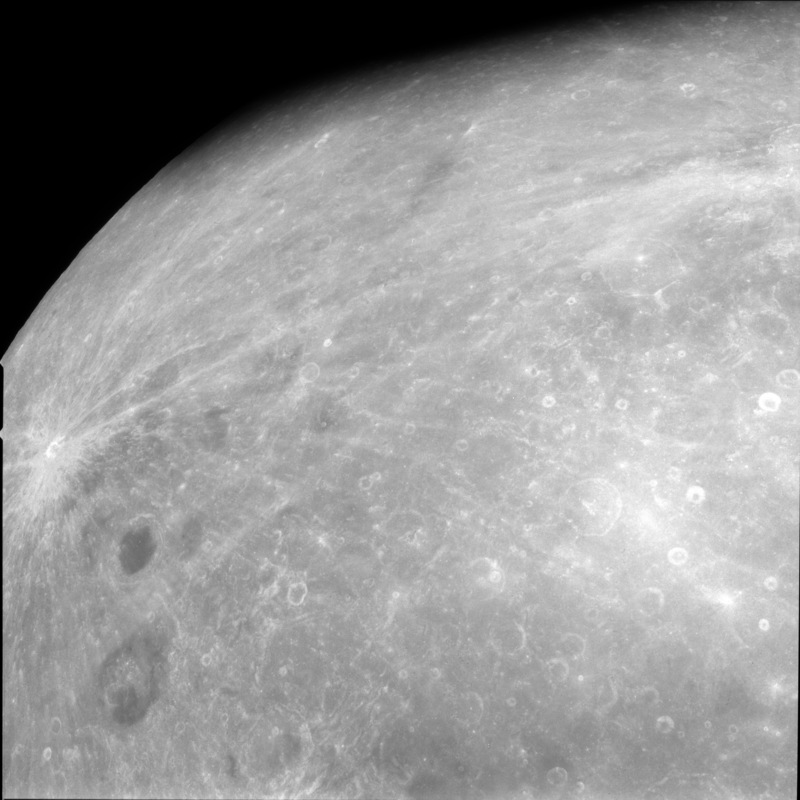 Area south of crater Daedalus. 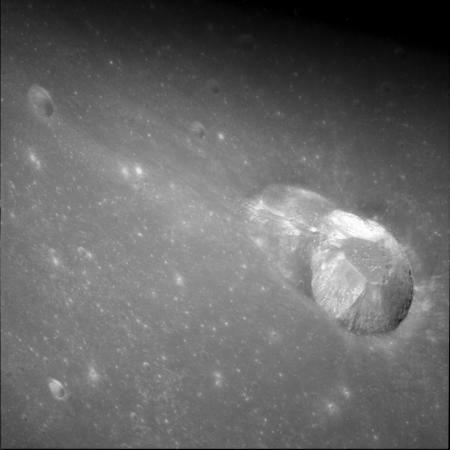 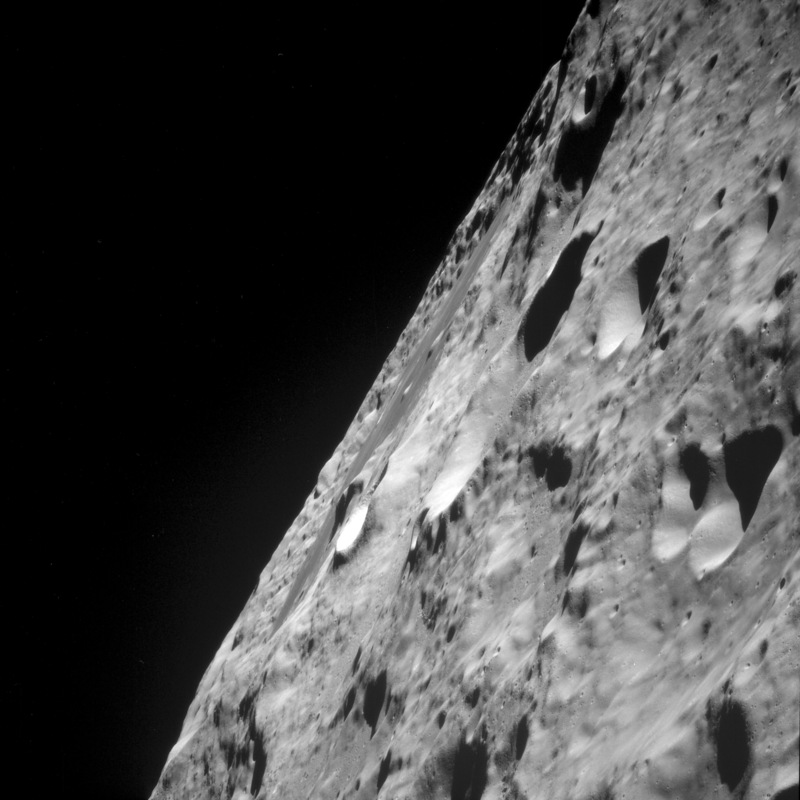 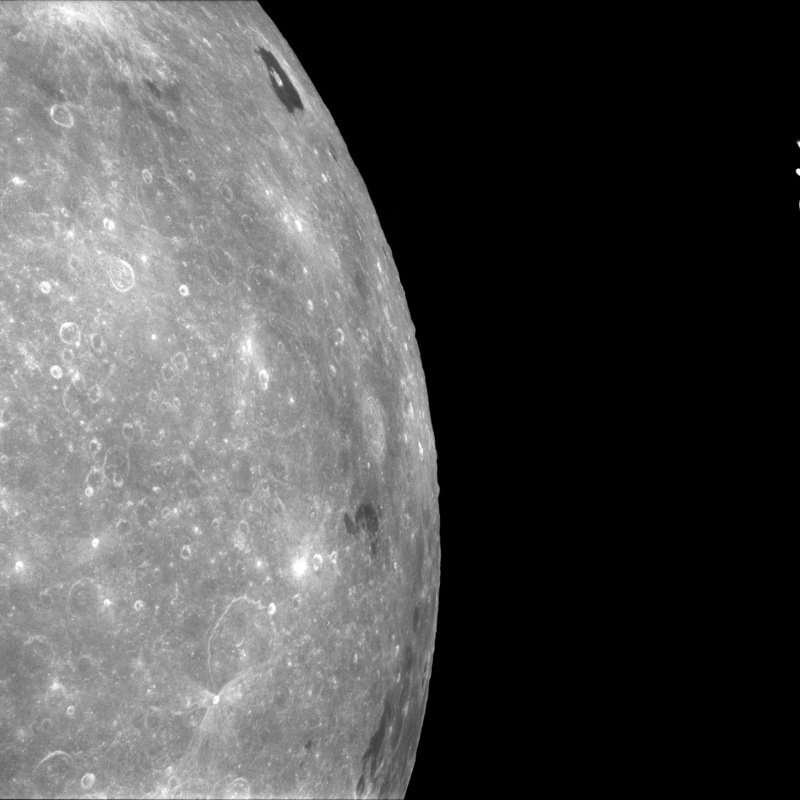 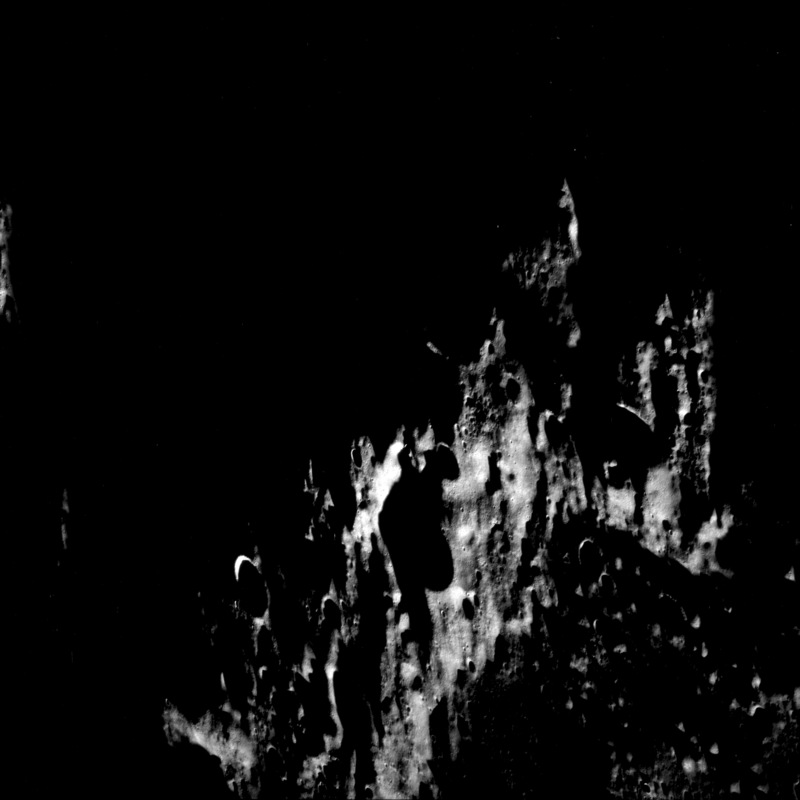 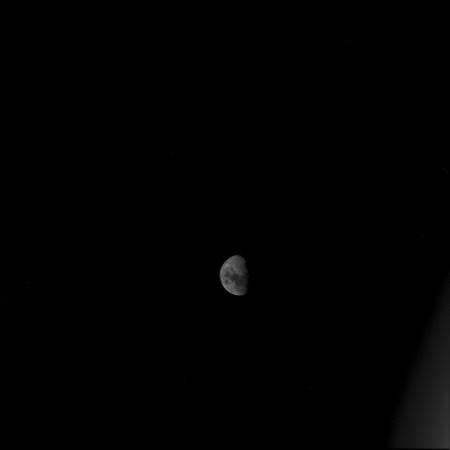 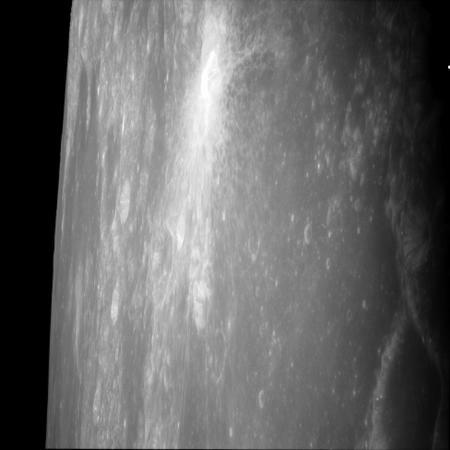 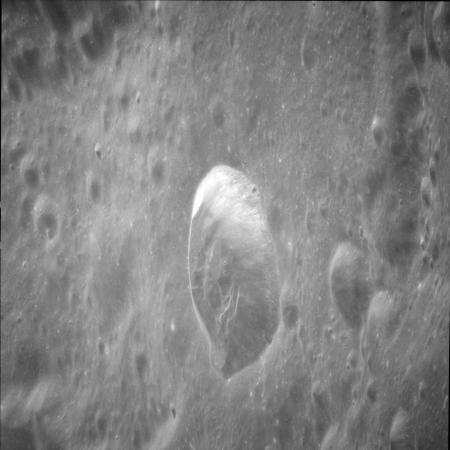 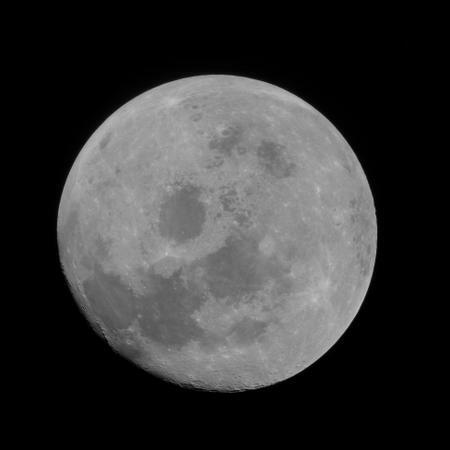 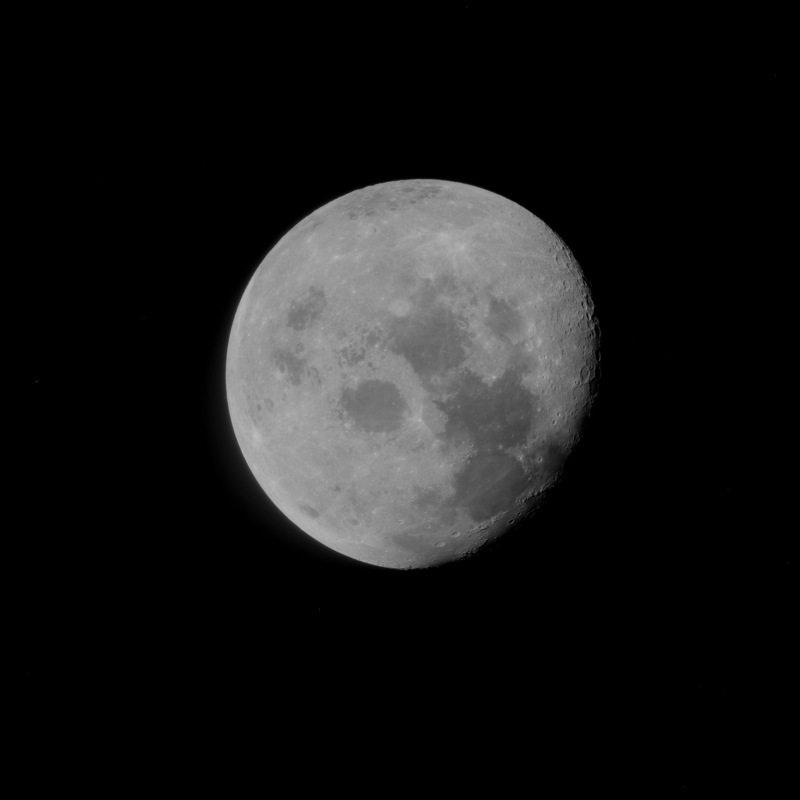 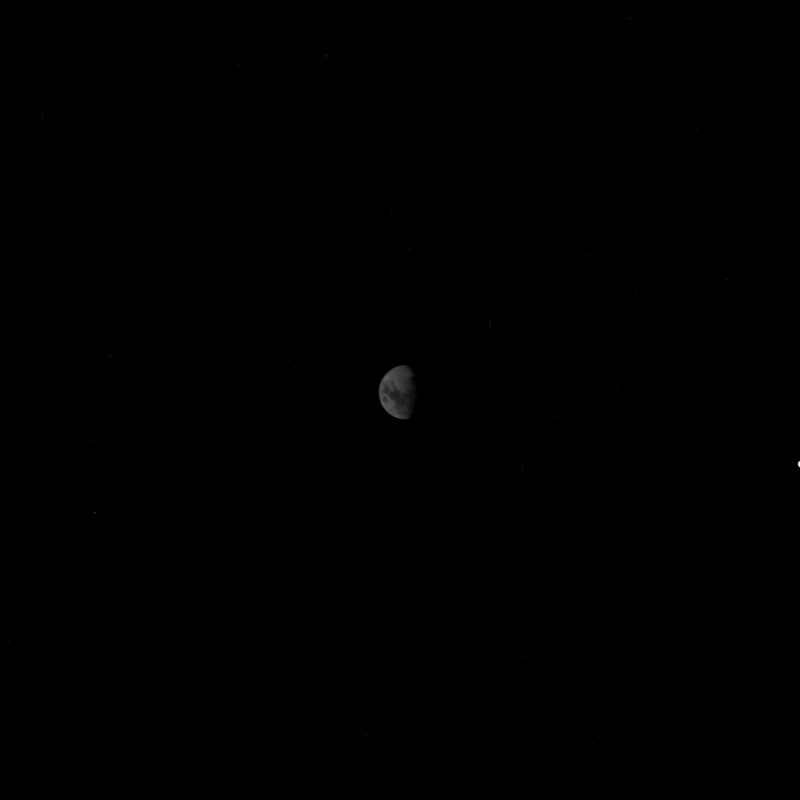 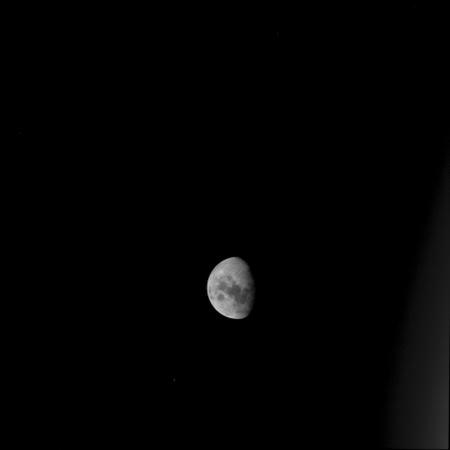 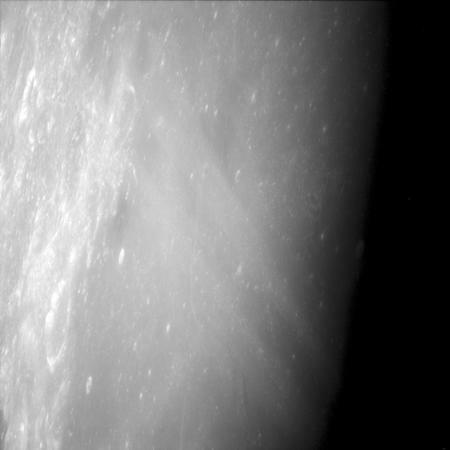 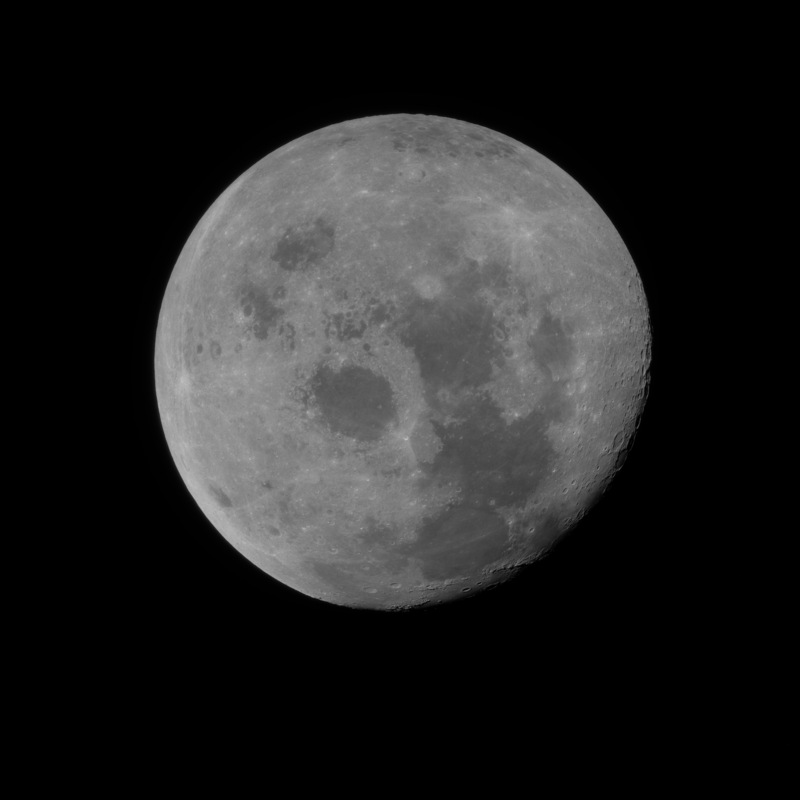 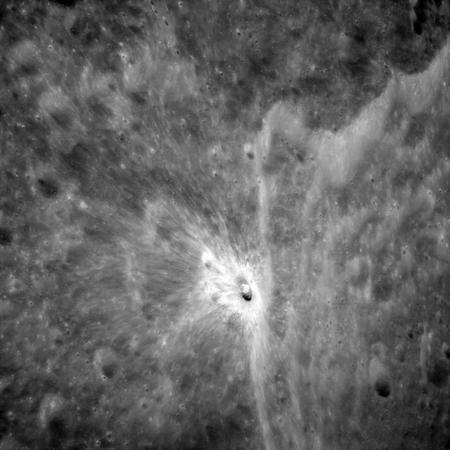 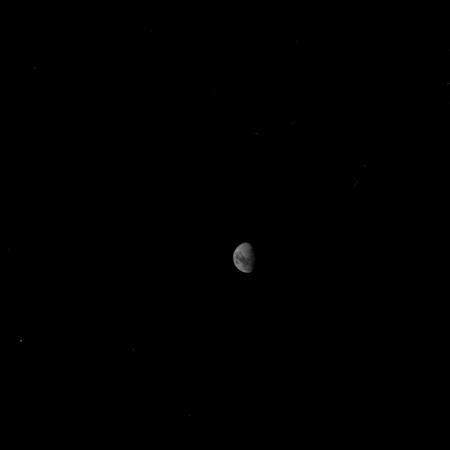 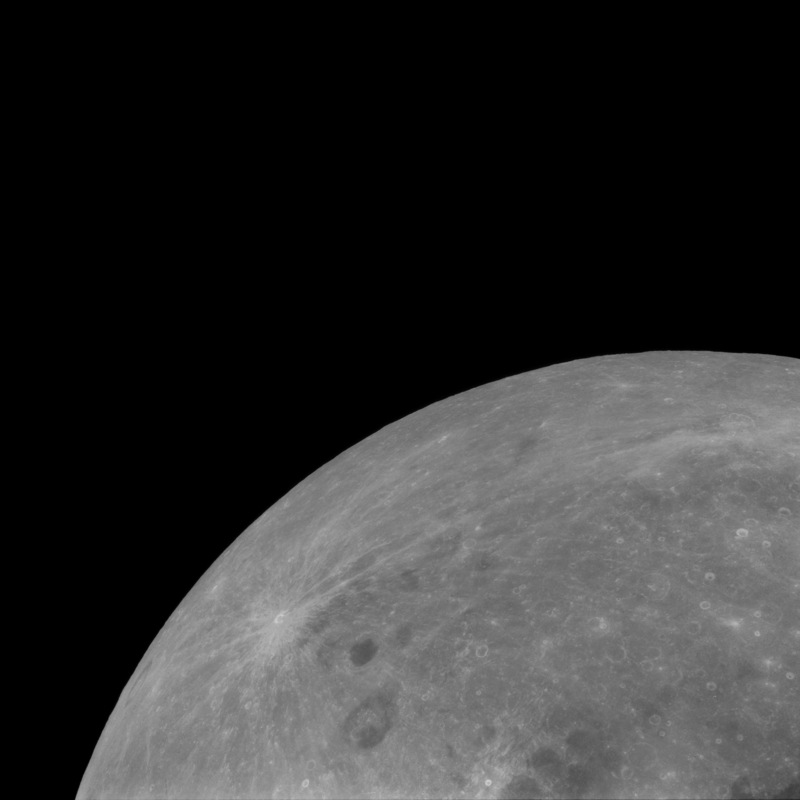 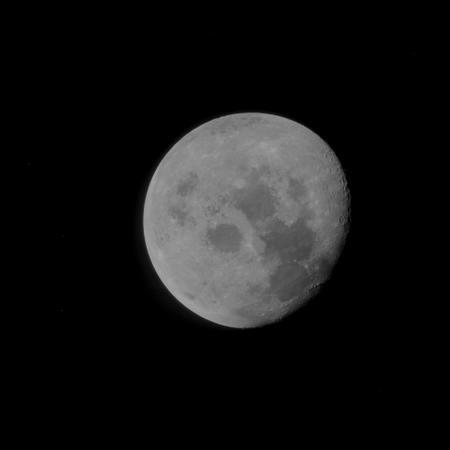 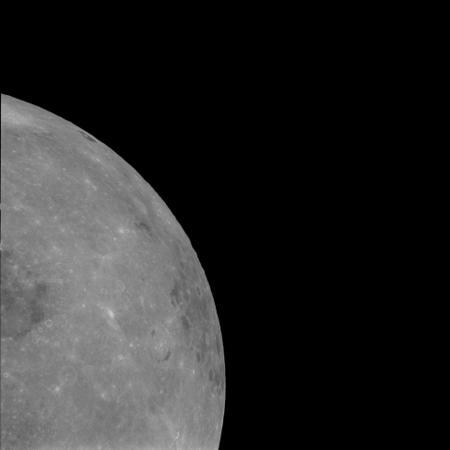 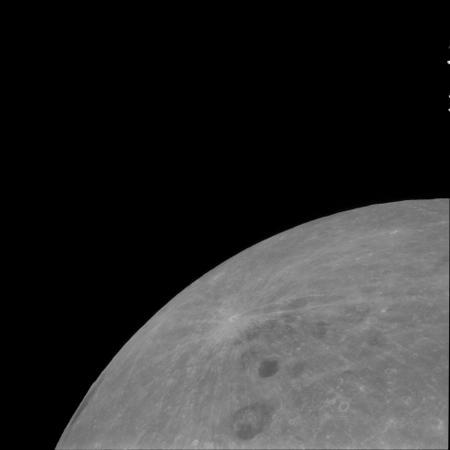 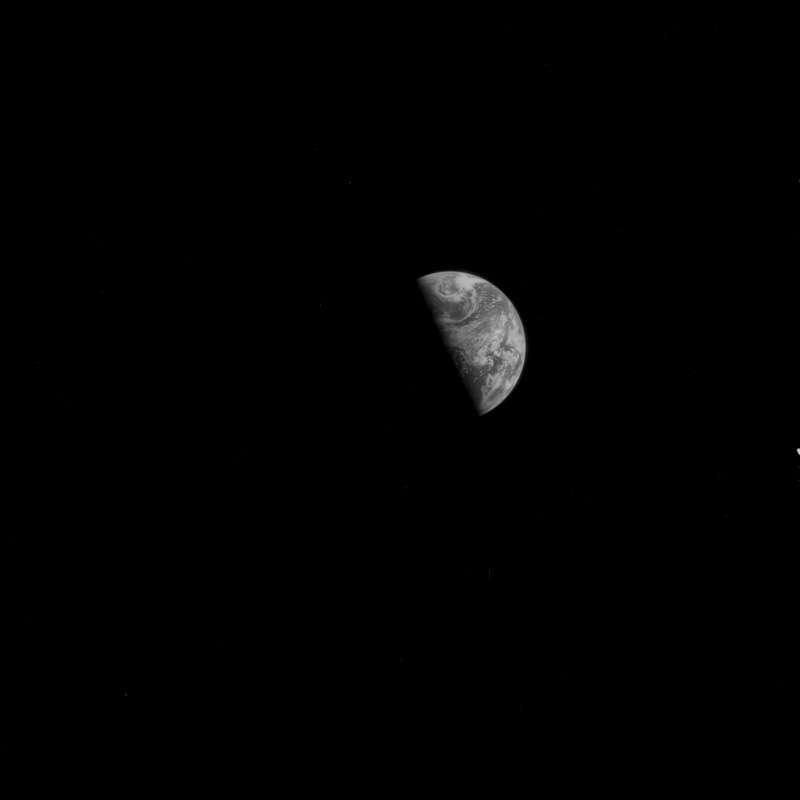 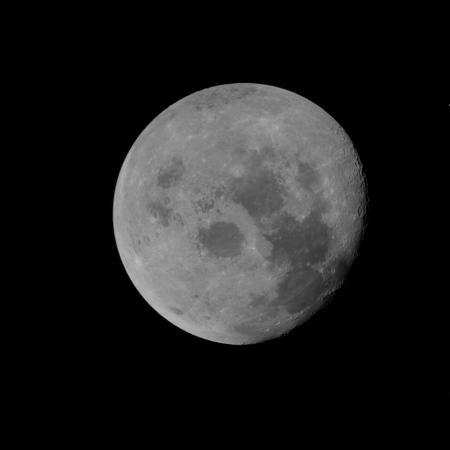 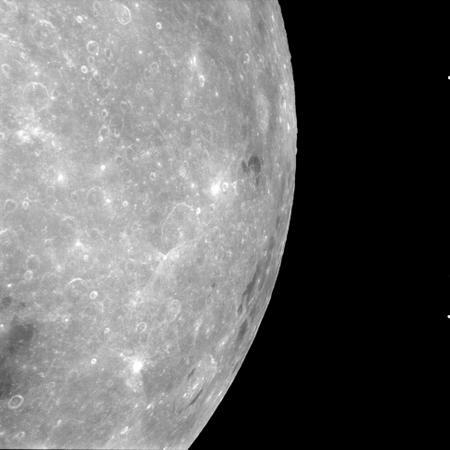 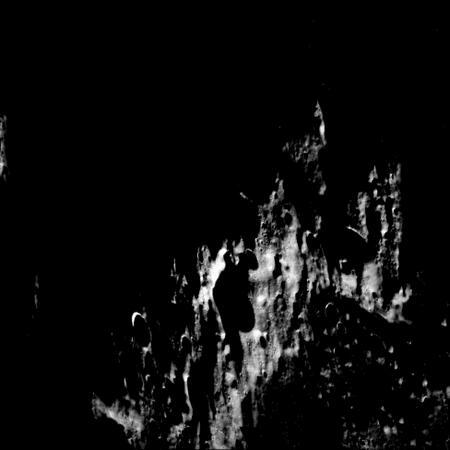 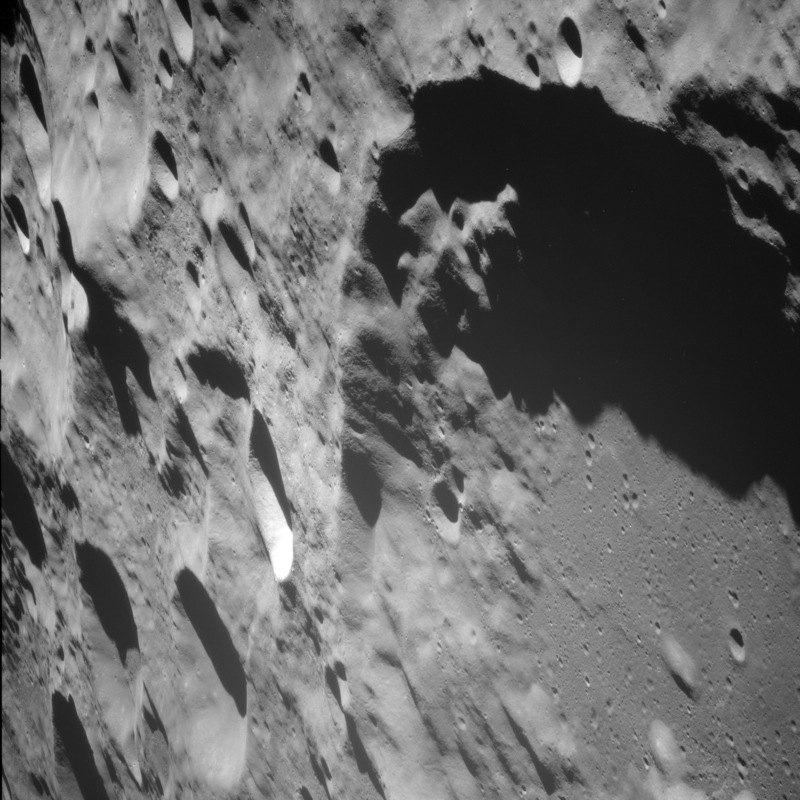 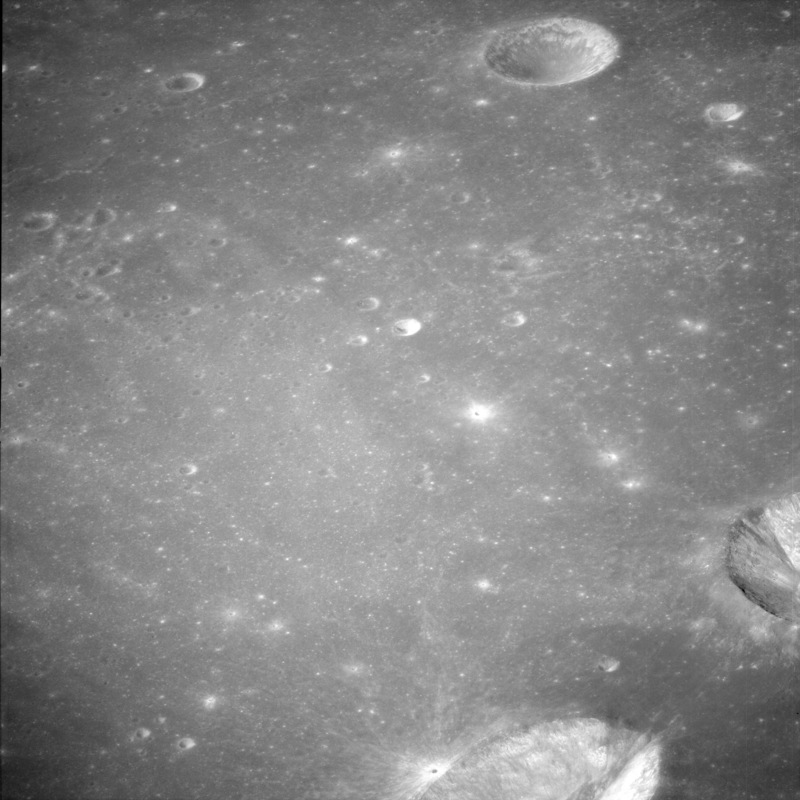 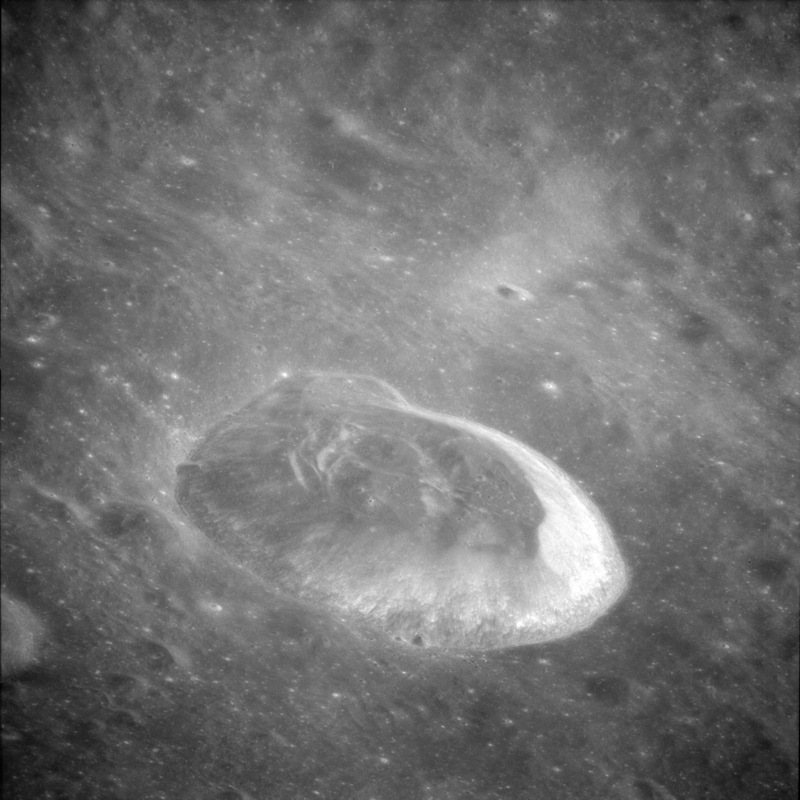 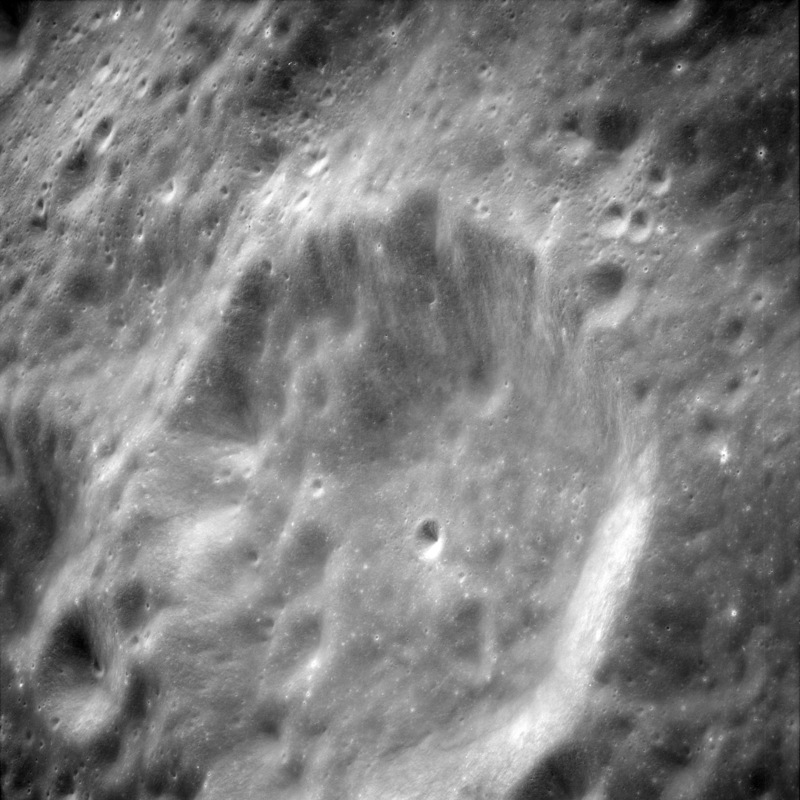 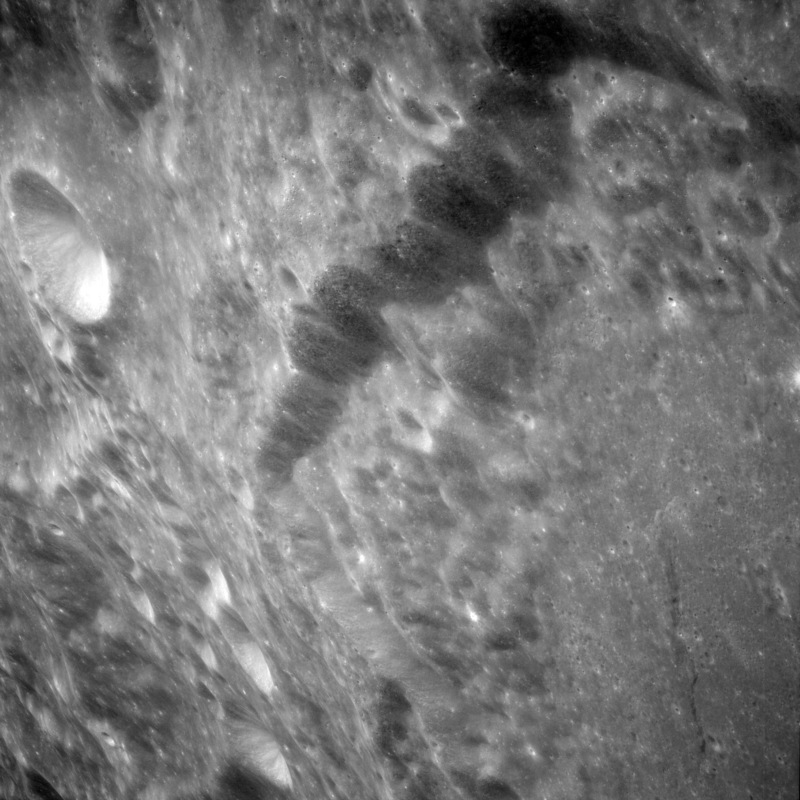 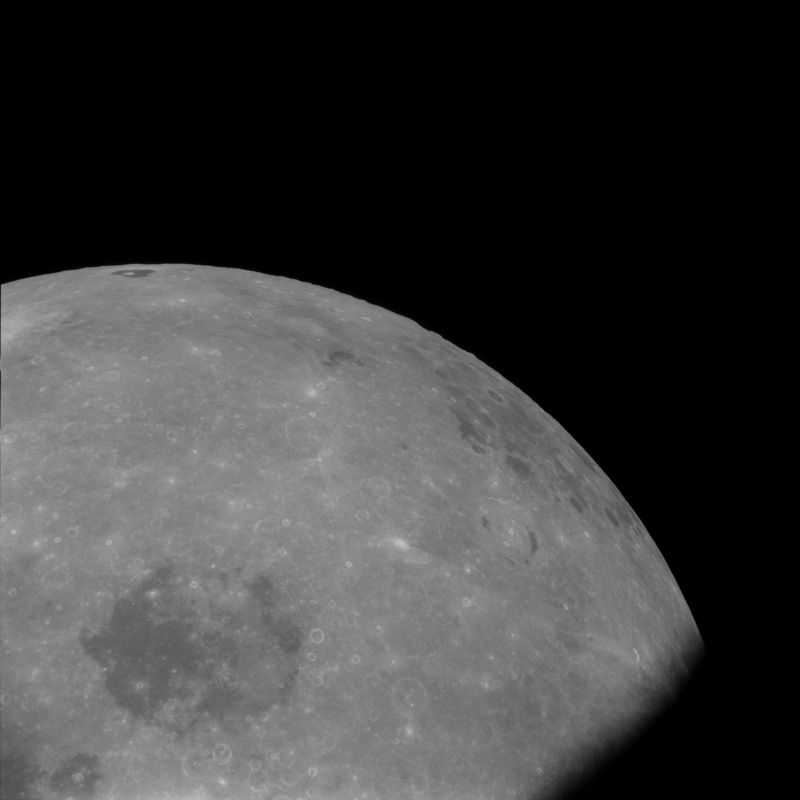 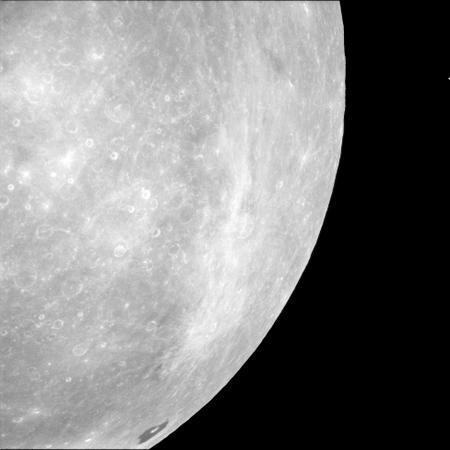 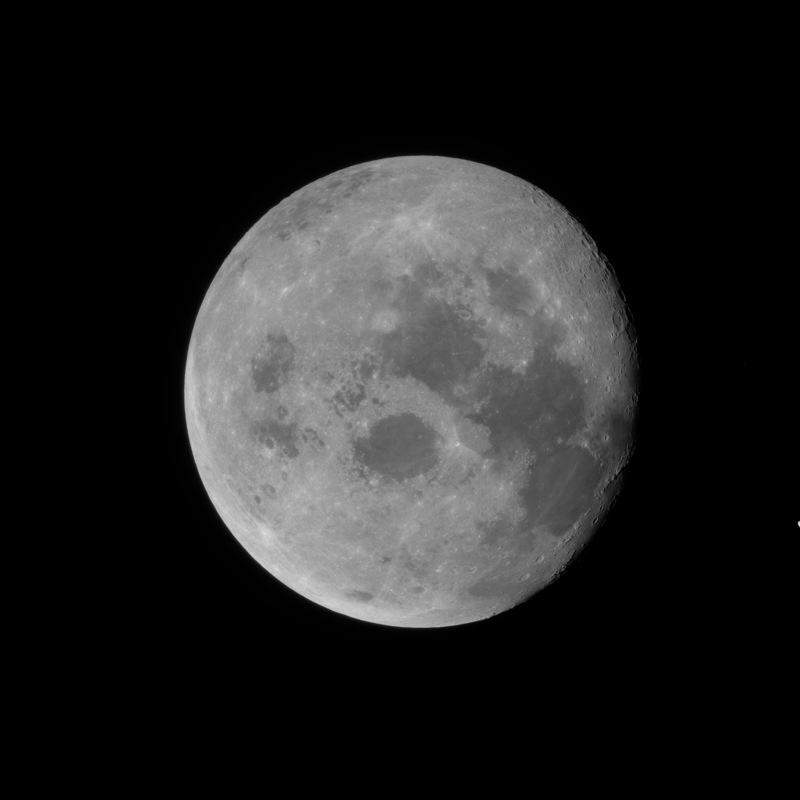 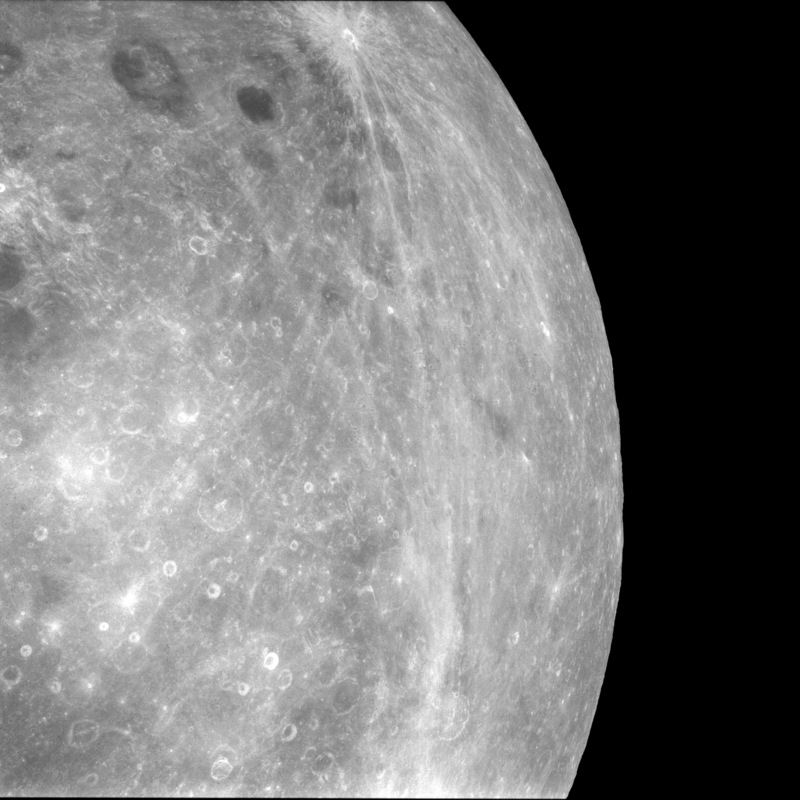 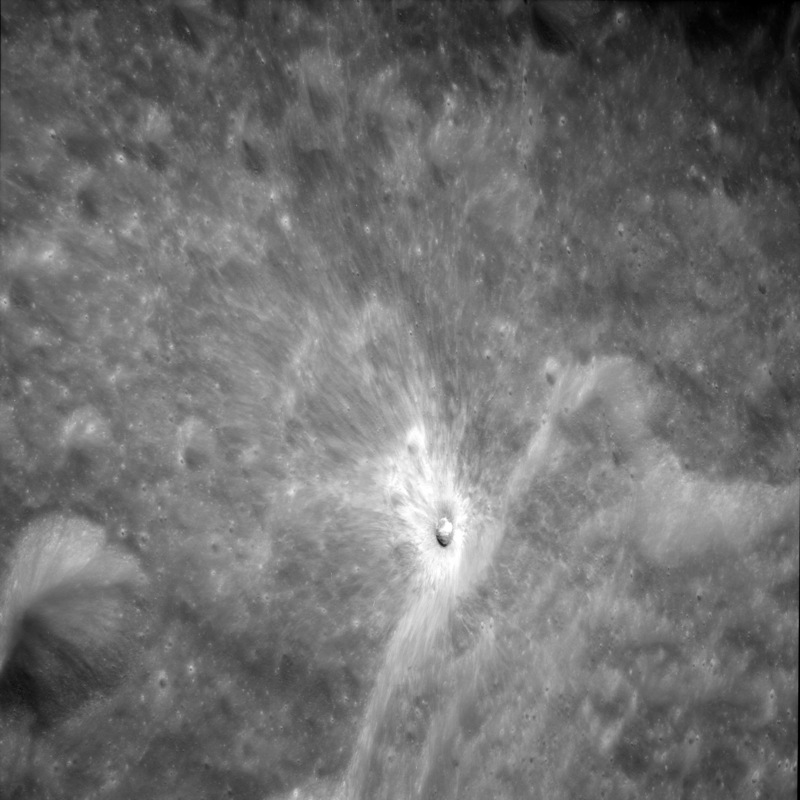 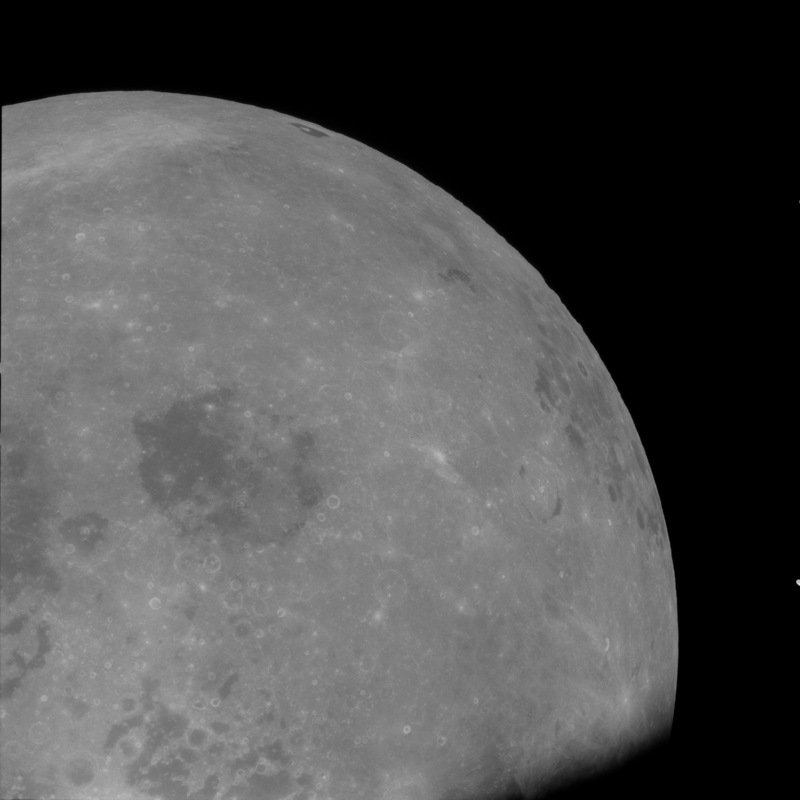 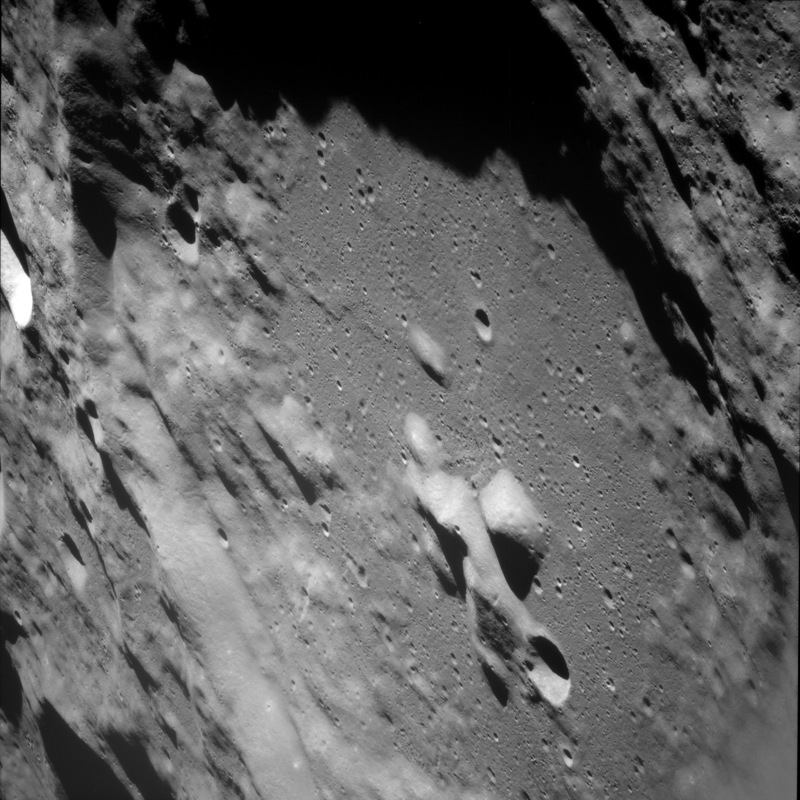 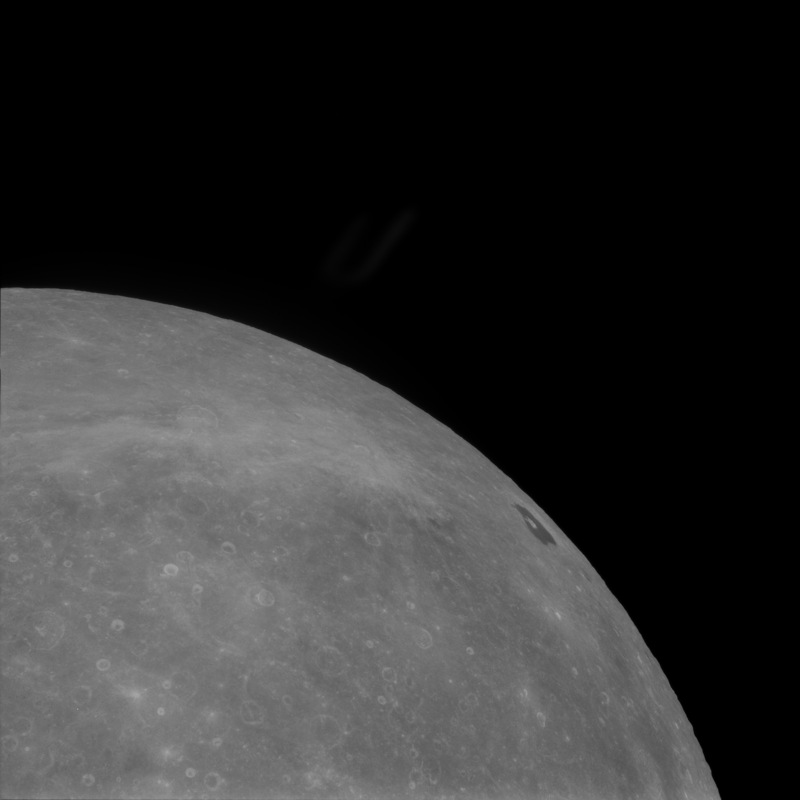 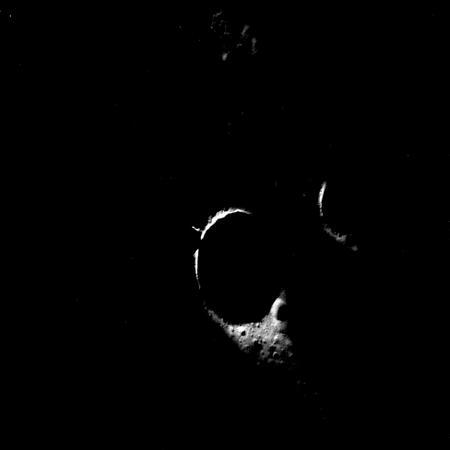 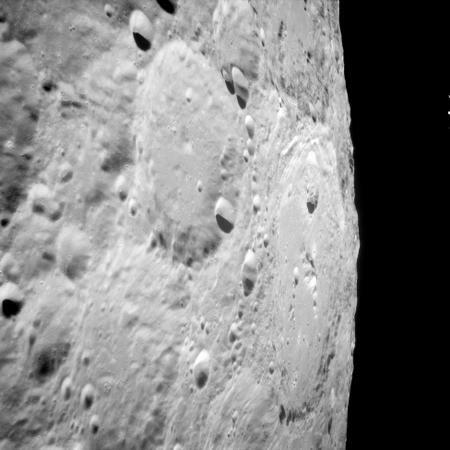 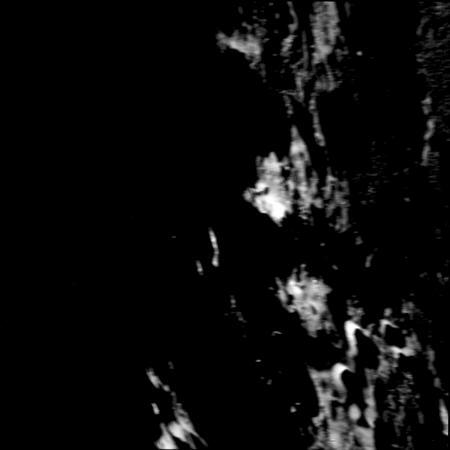 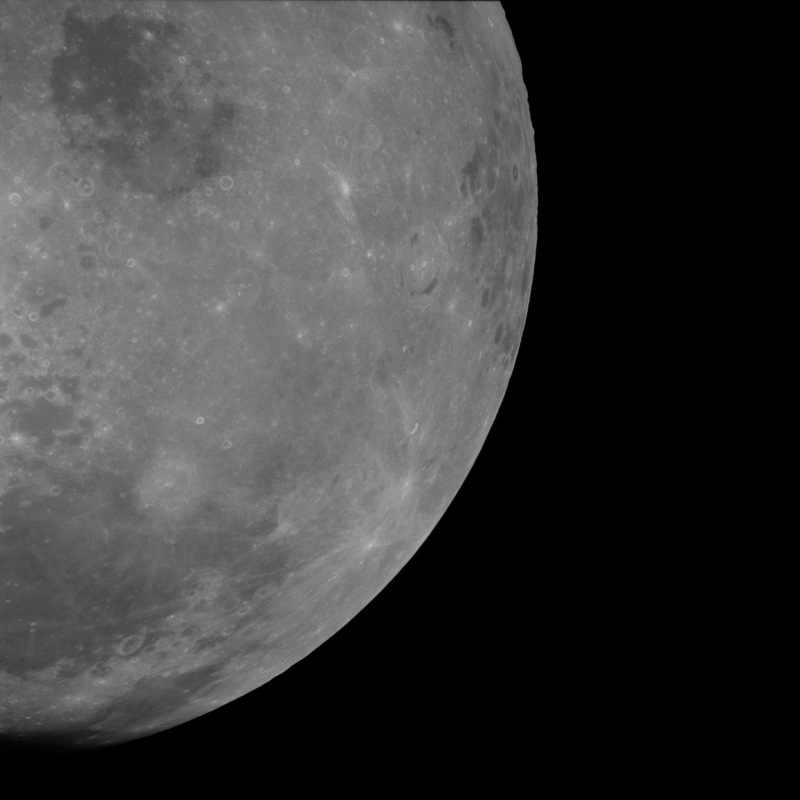 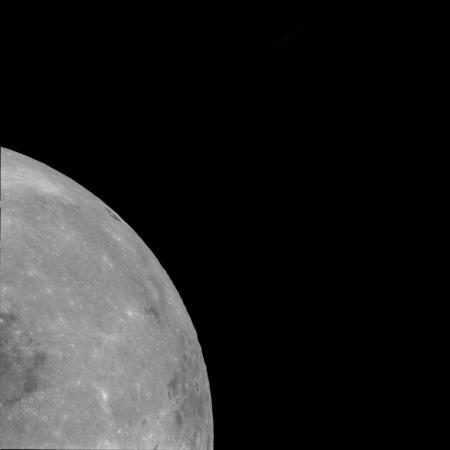 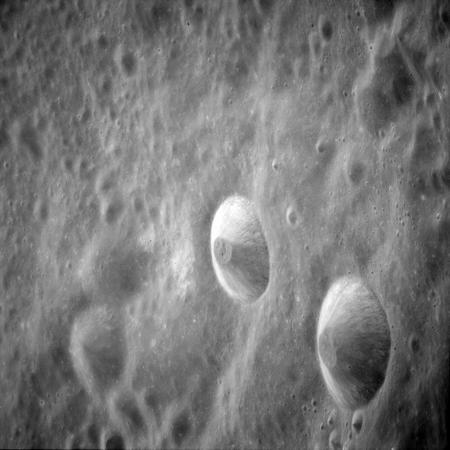 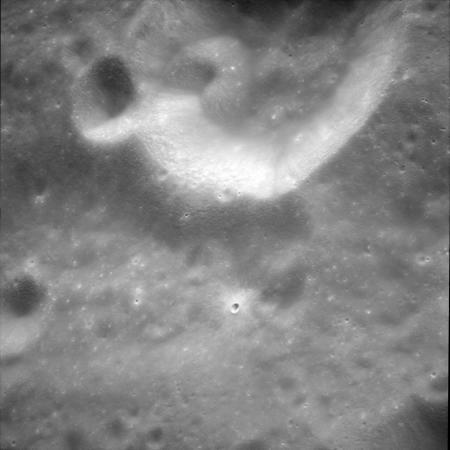 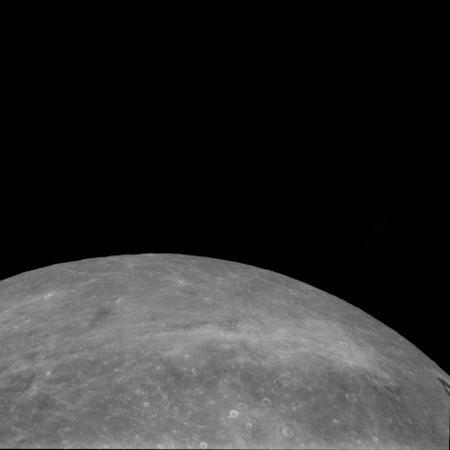 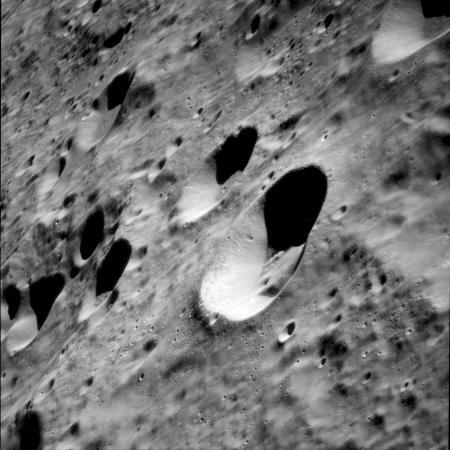 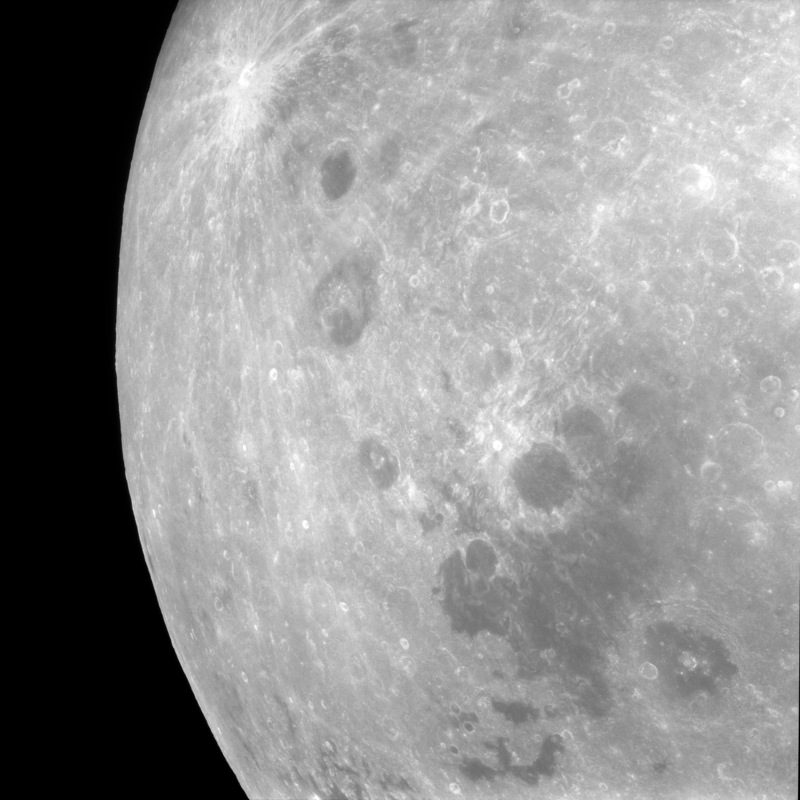 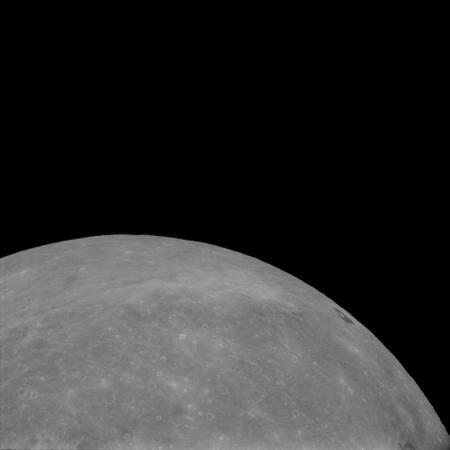 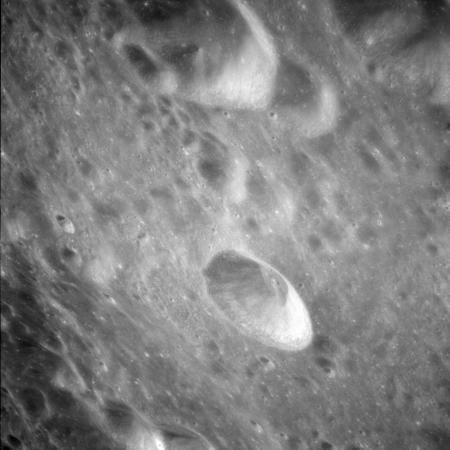 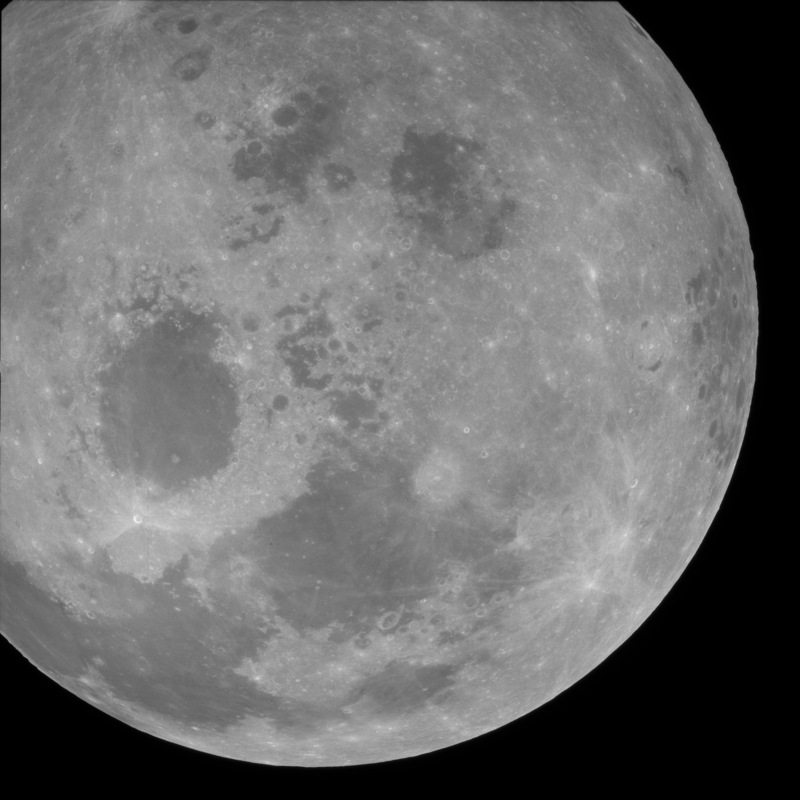 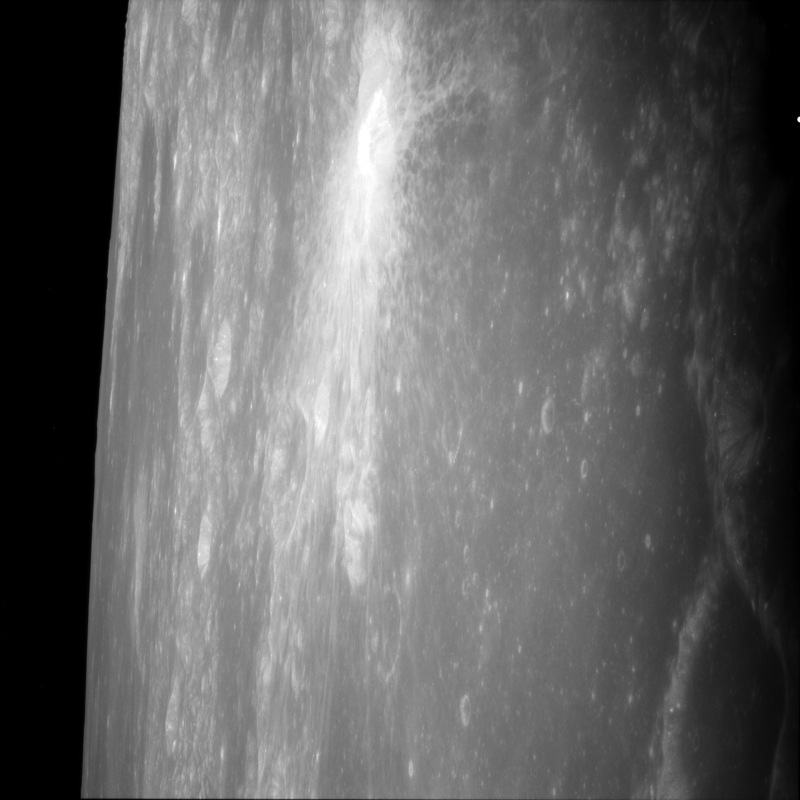 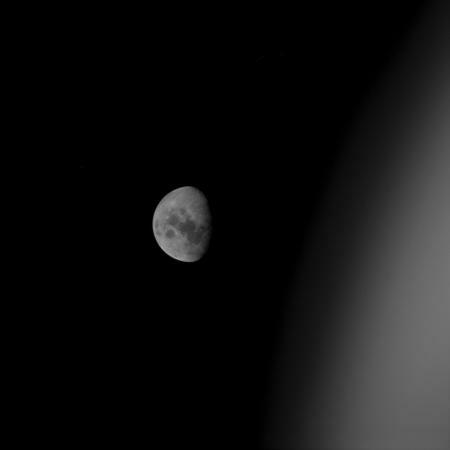 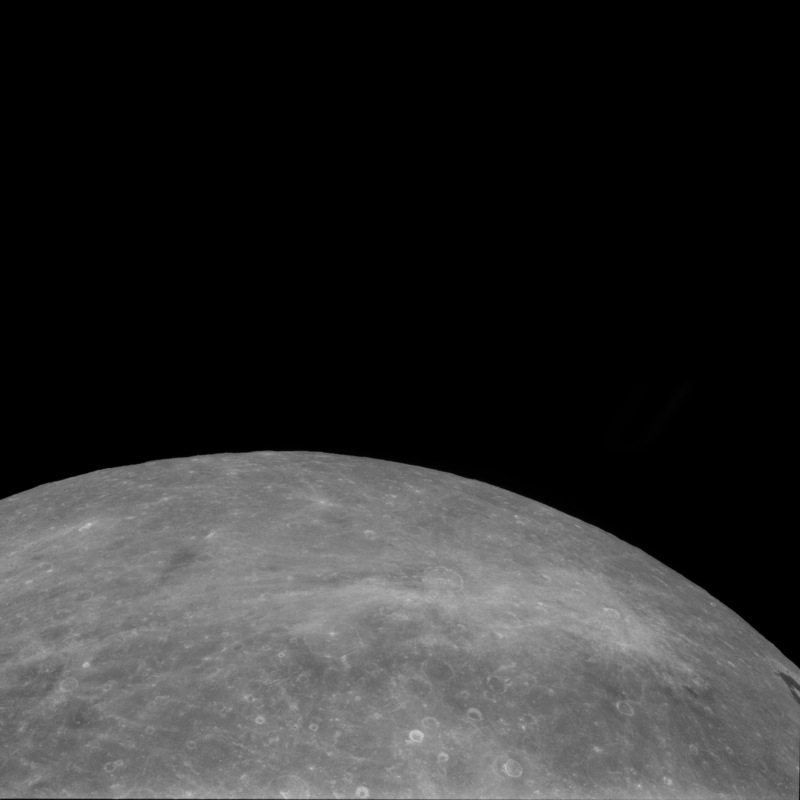 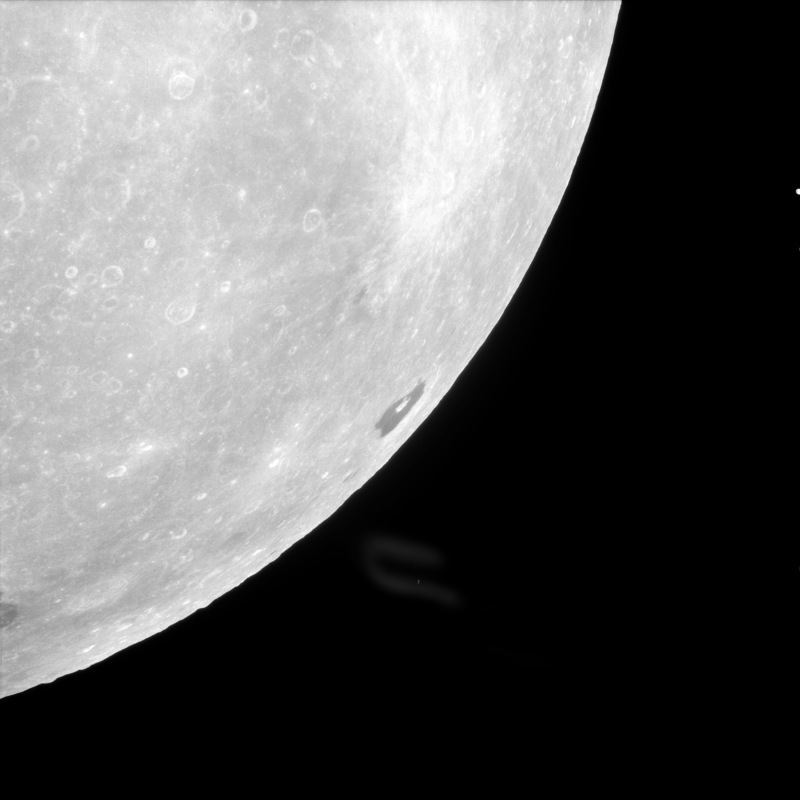 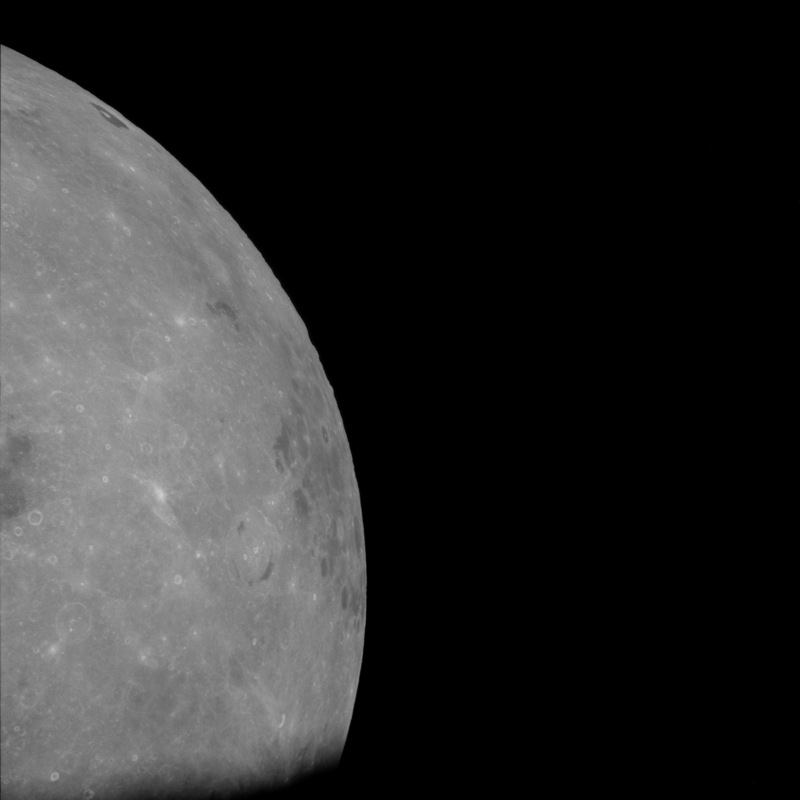 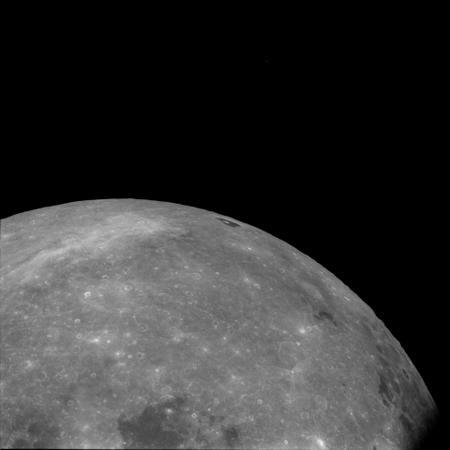 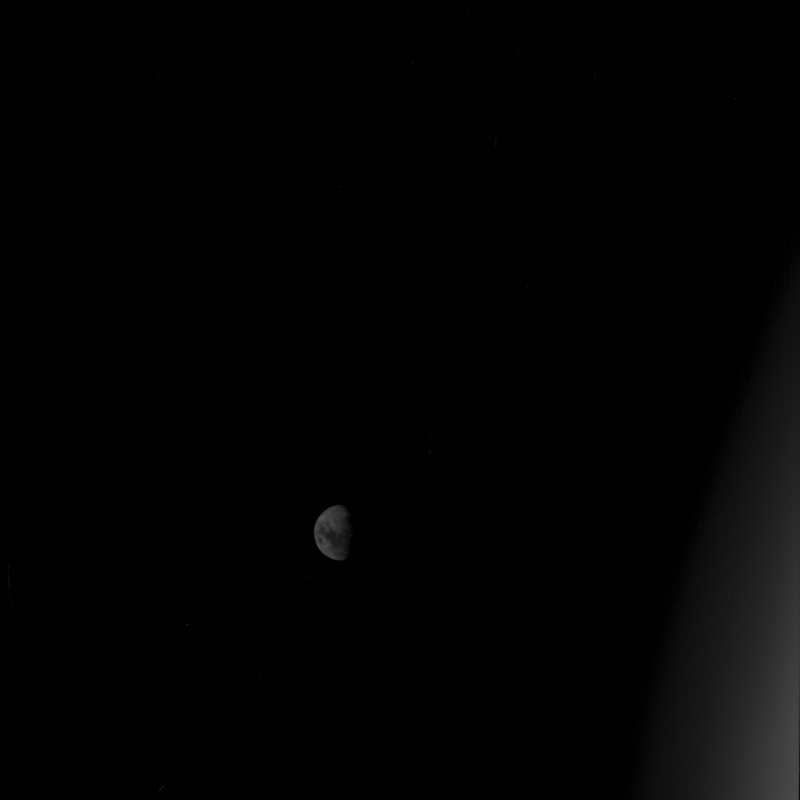 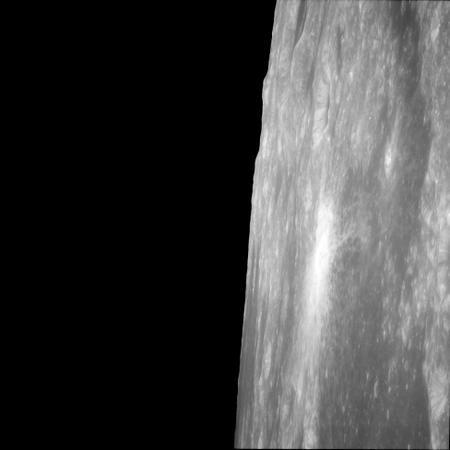 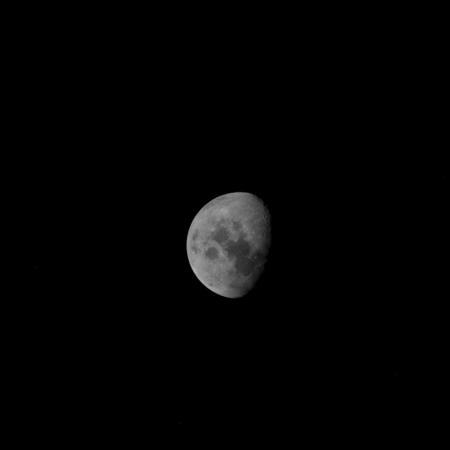 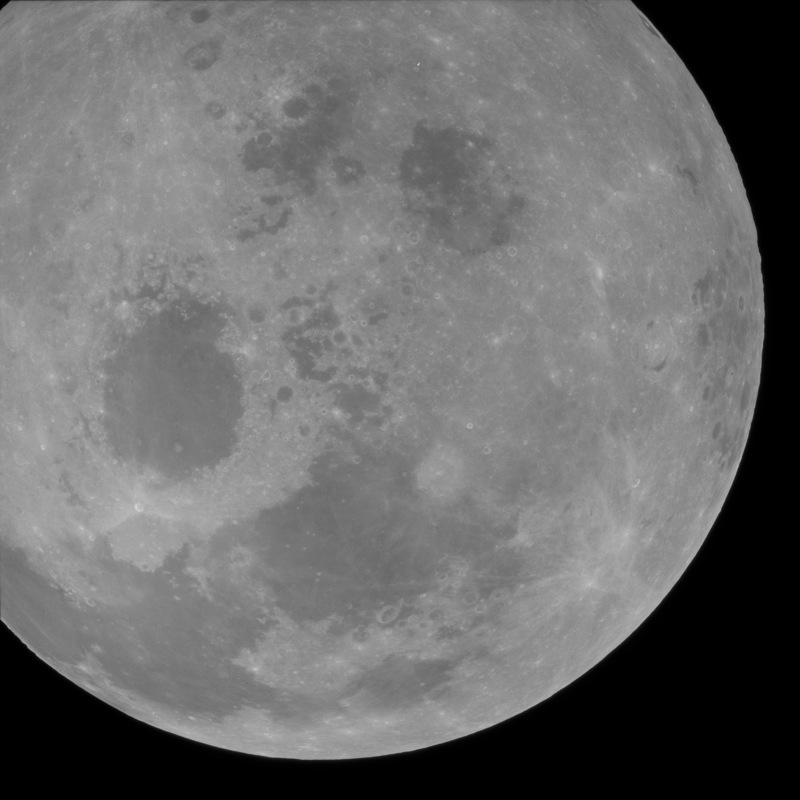 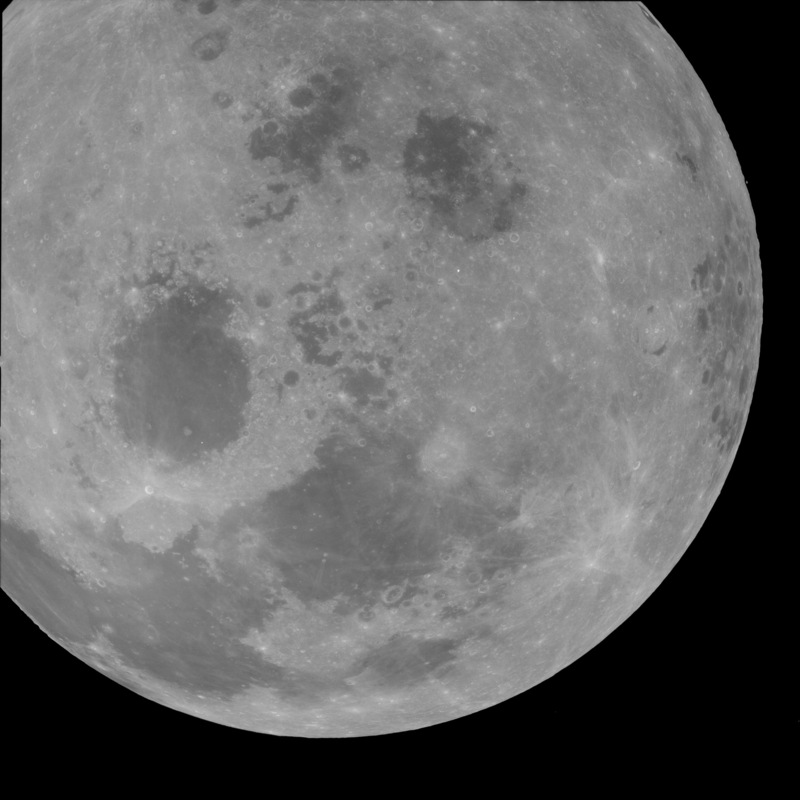 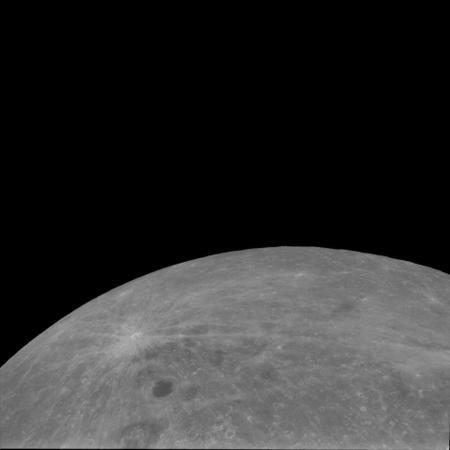 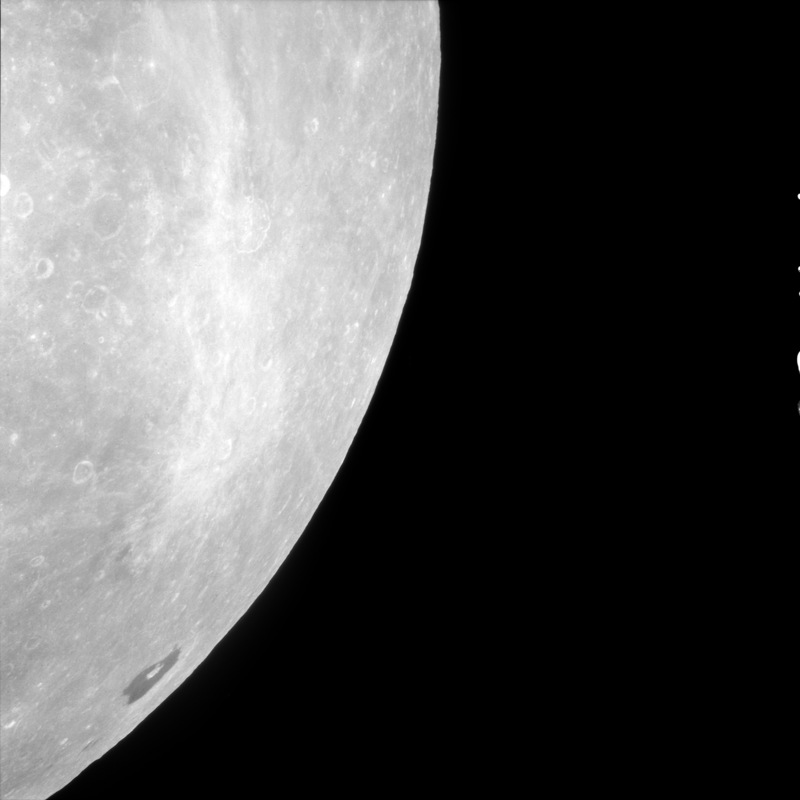 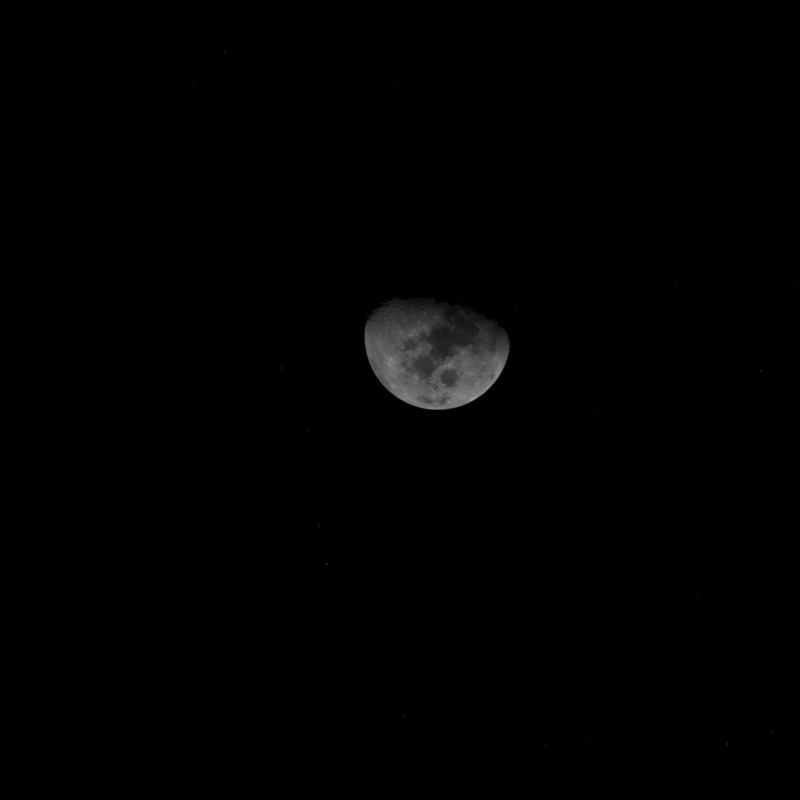 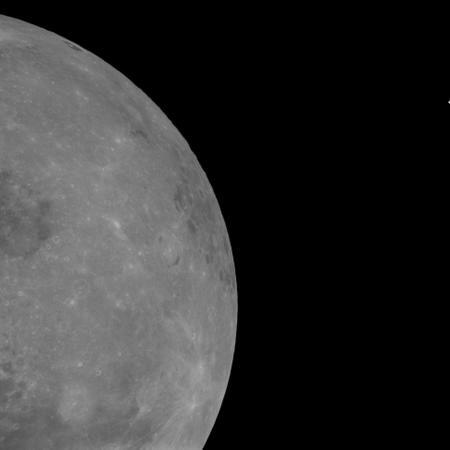 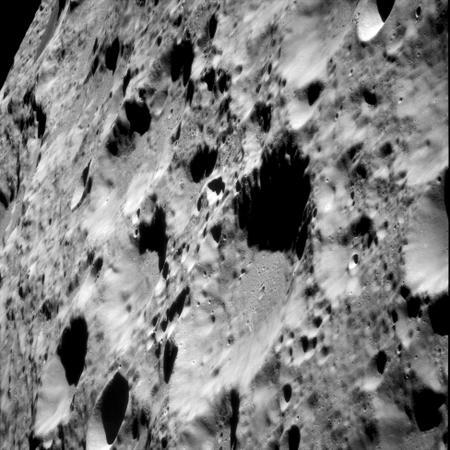 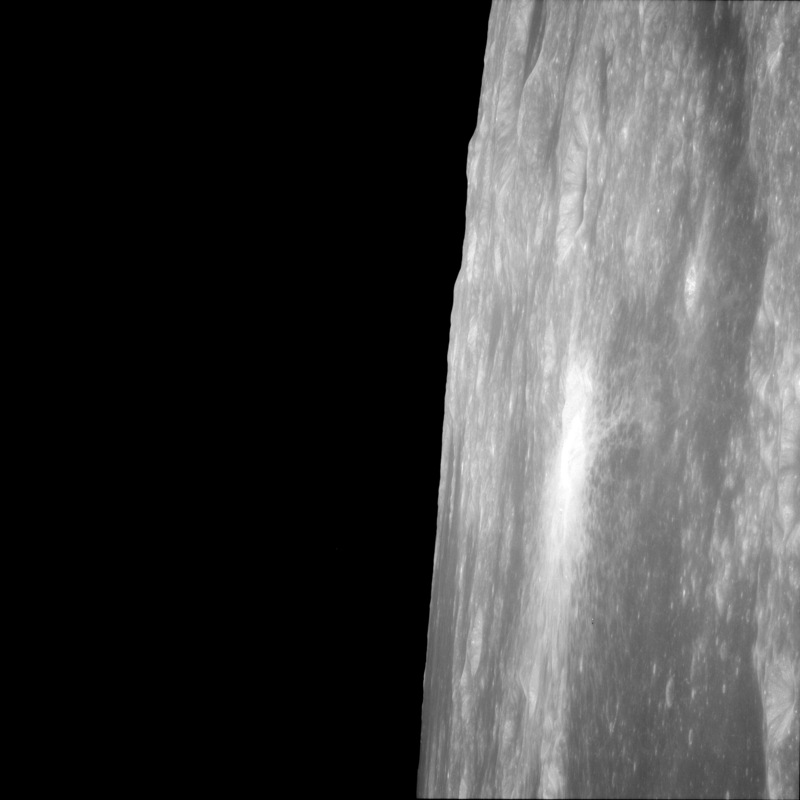 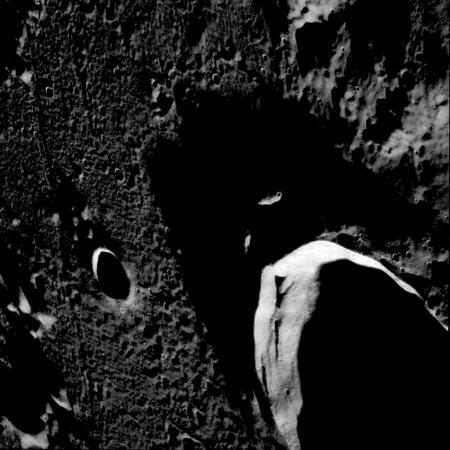 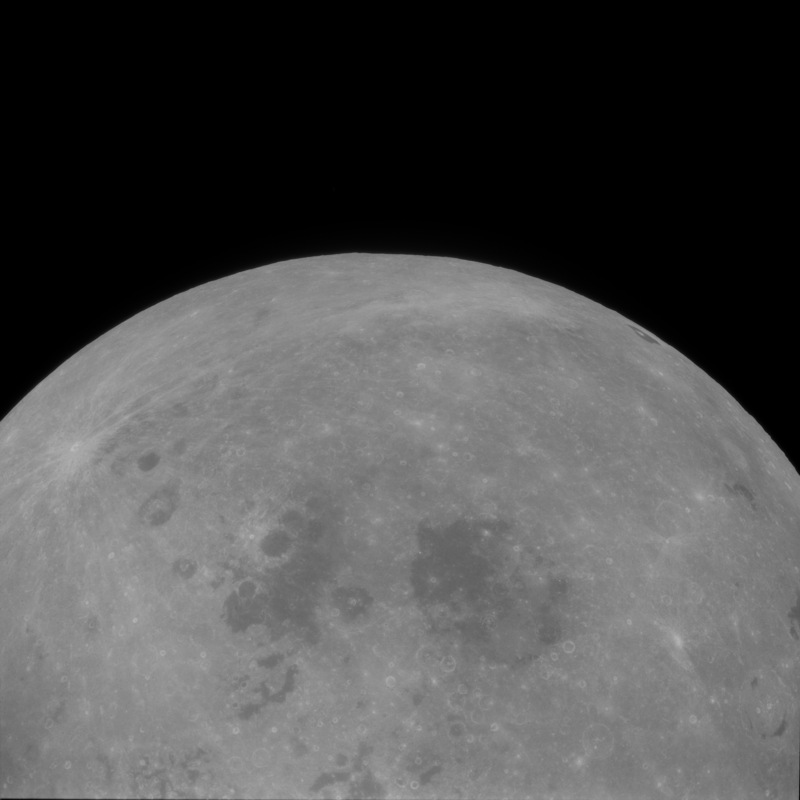 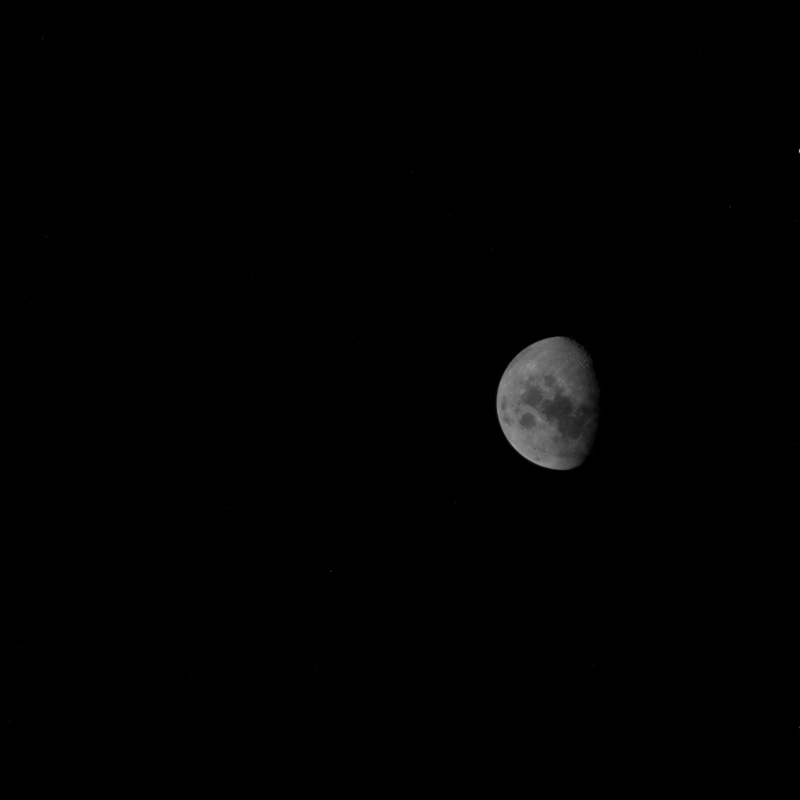 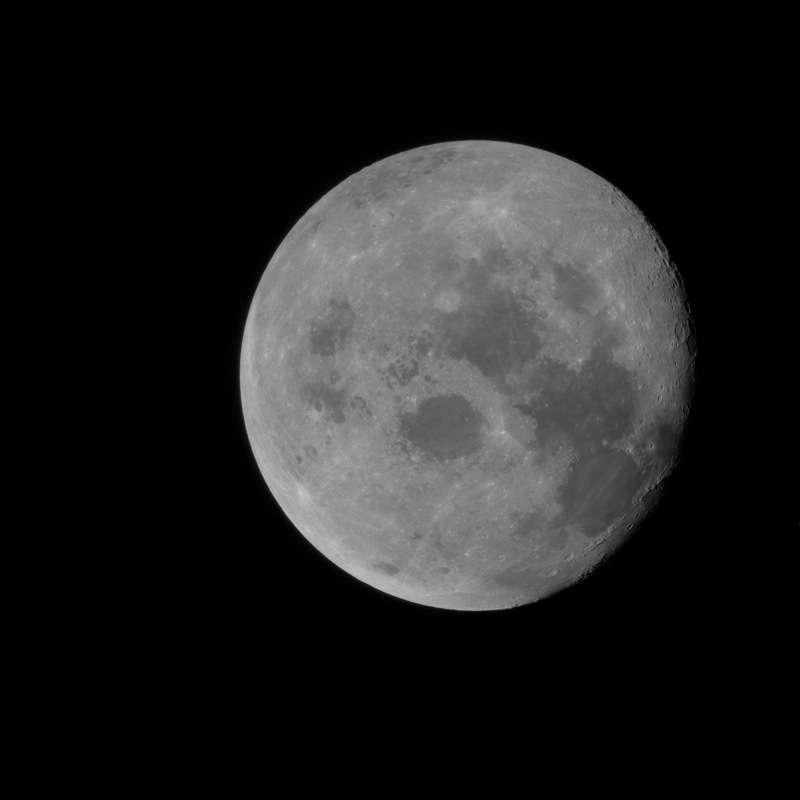 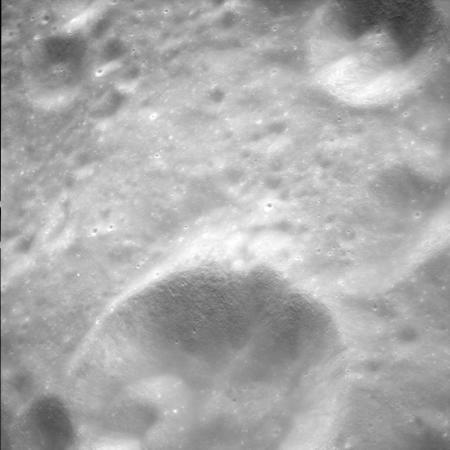 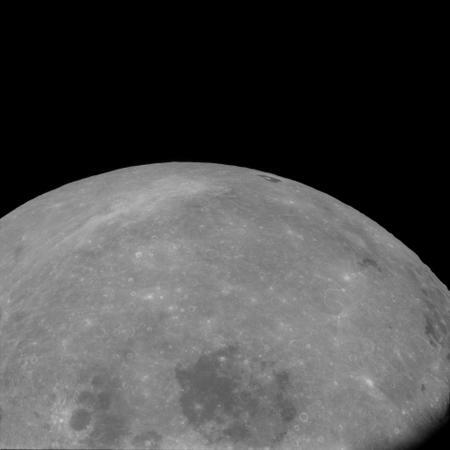 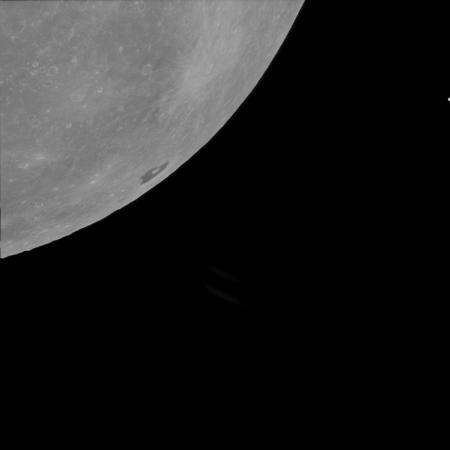 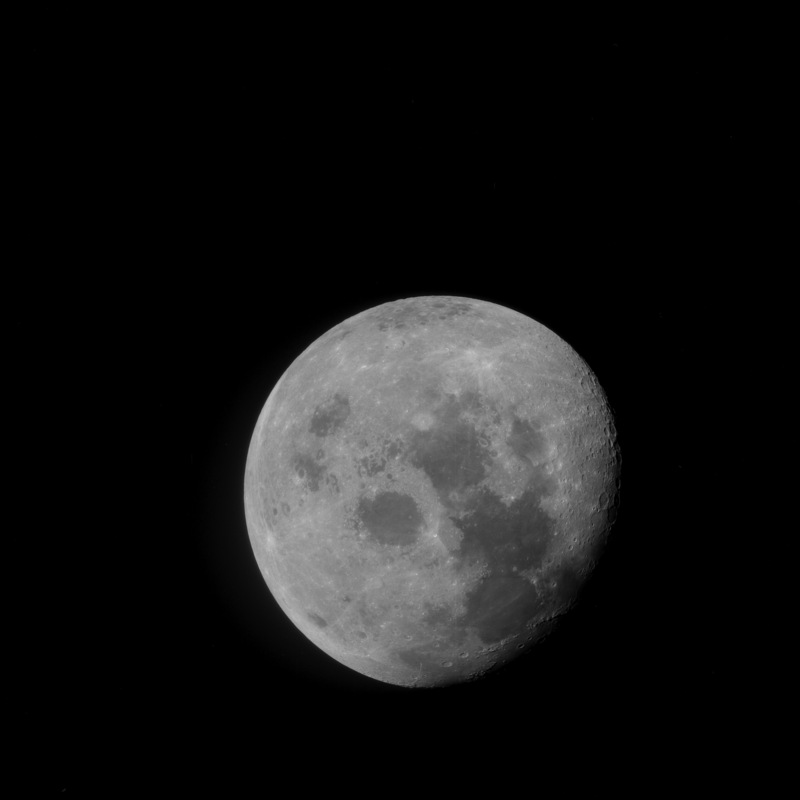 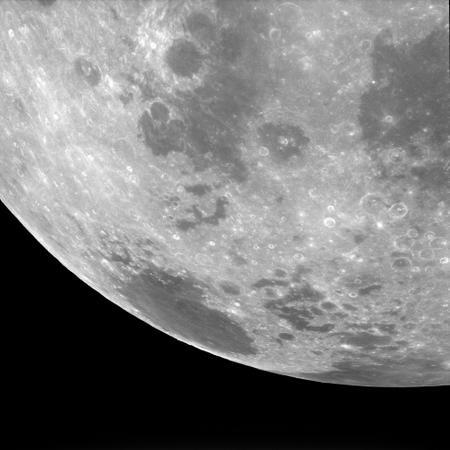 Crater Daedalus on lunar far-side. 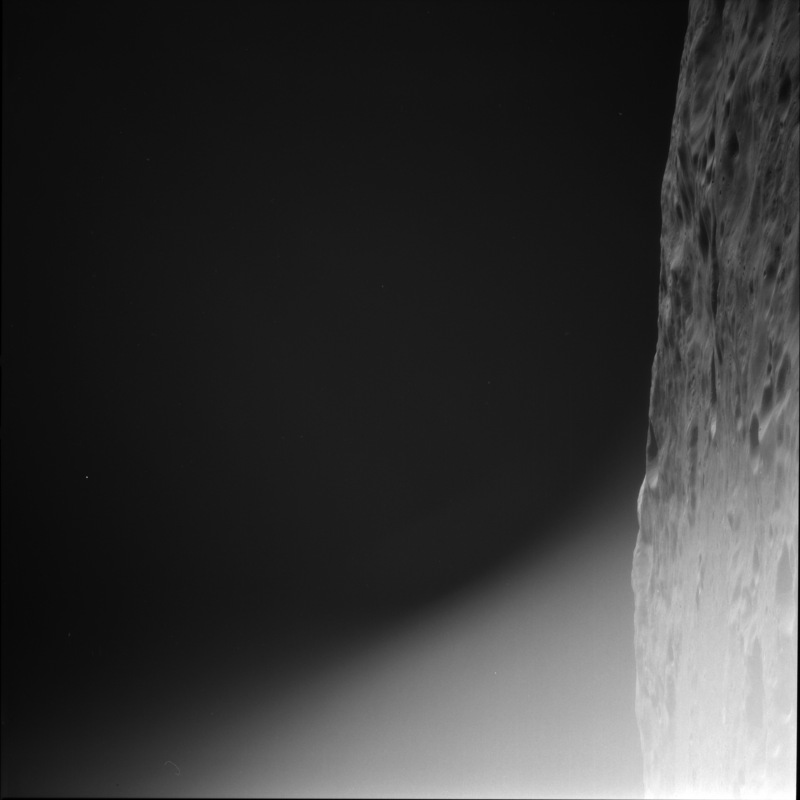 Southwest rim of Crater Daedalus. 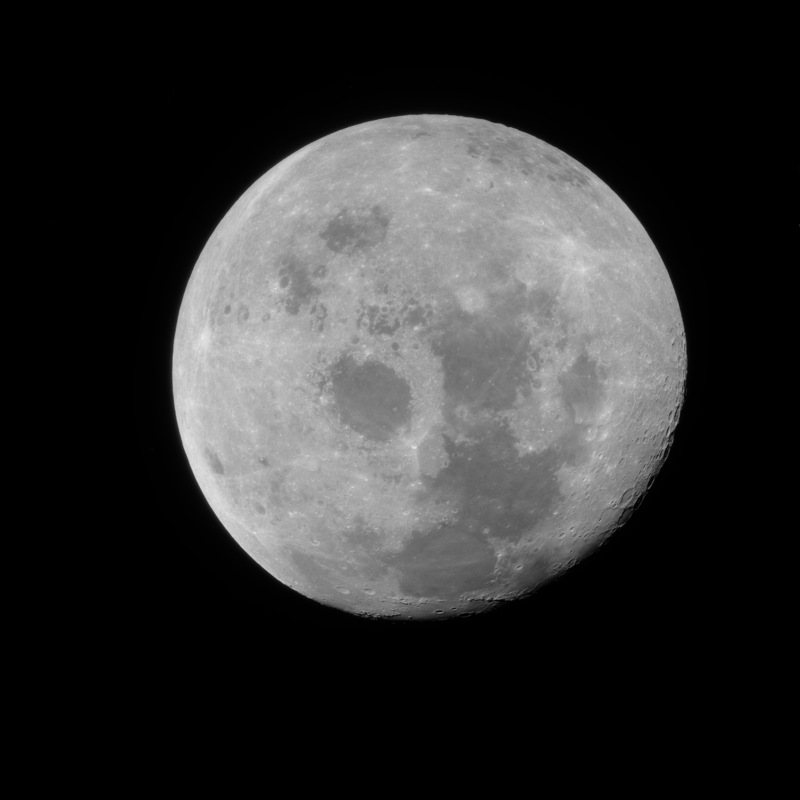 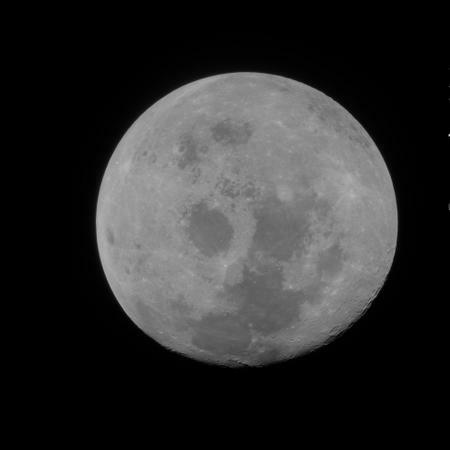 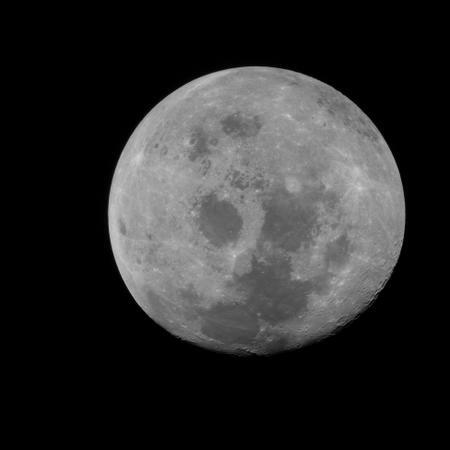 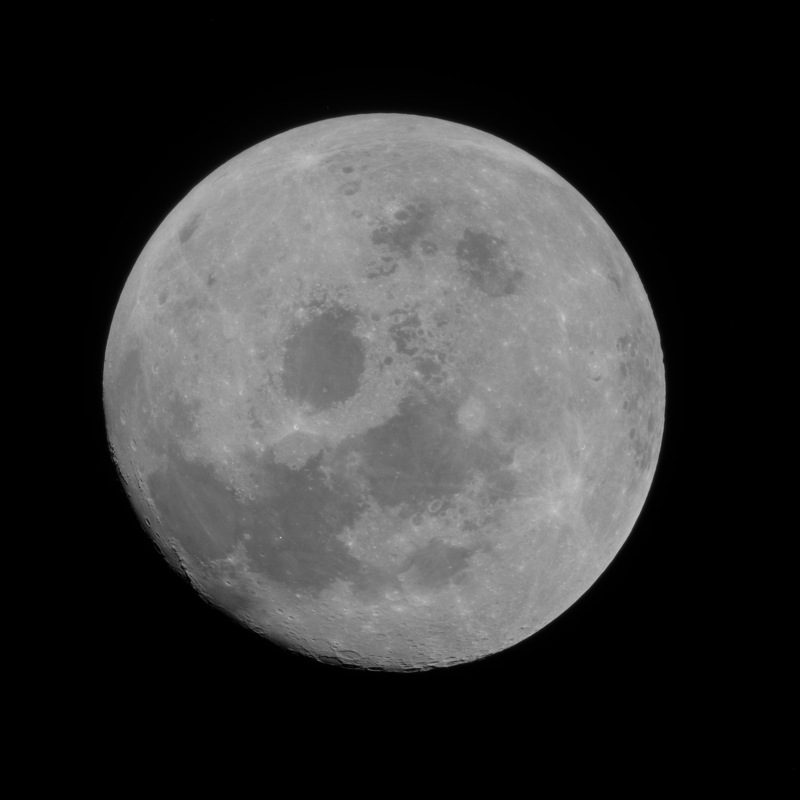 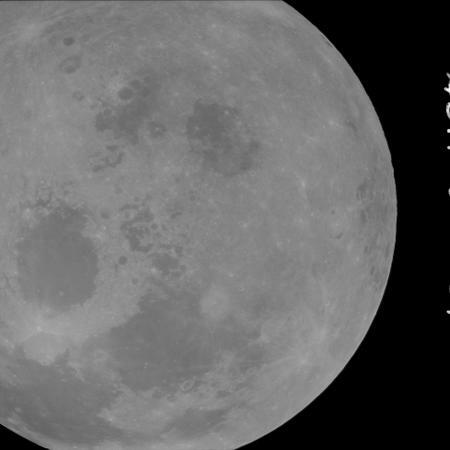 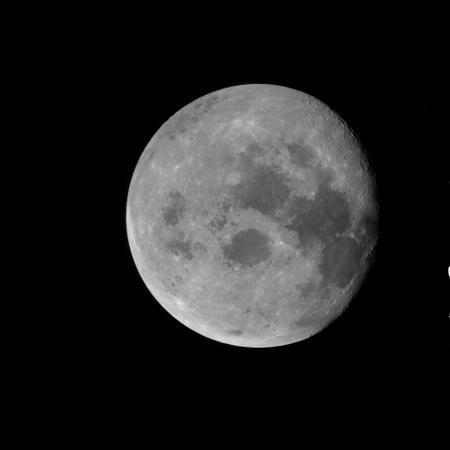 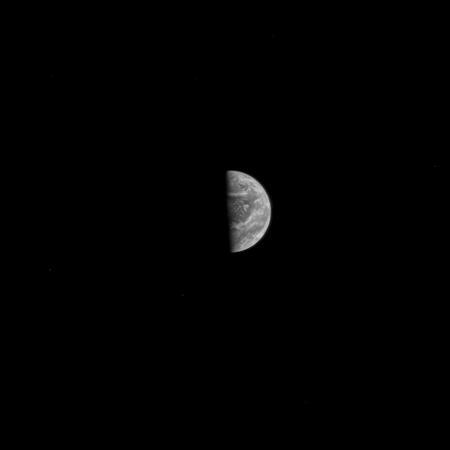 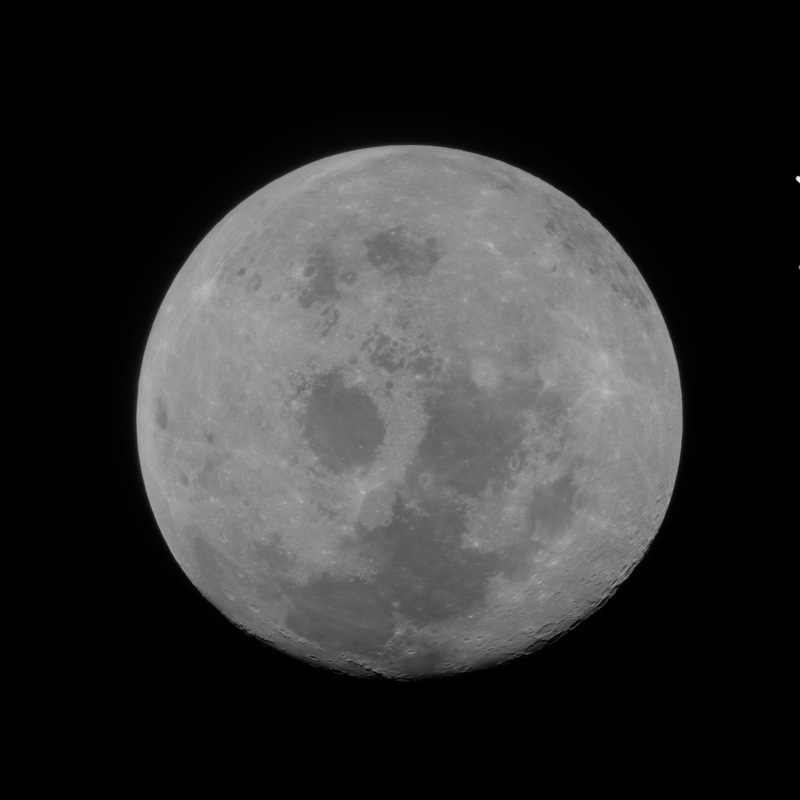 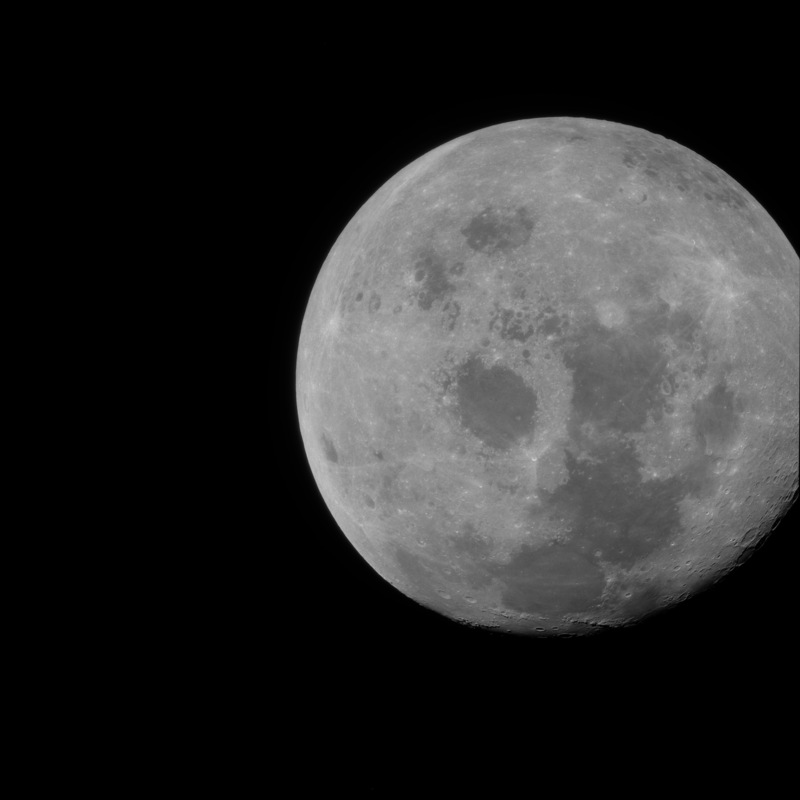 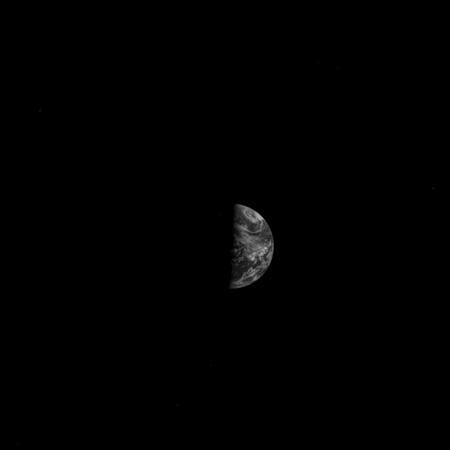 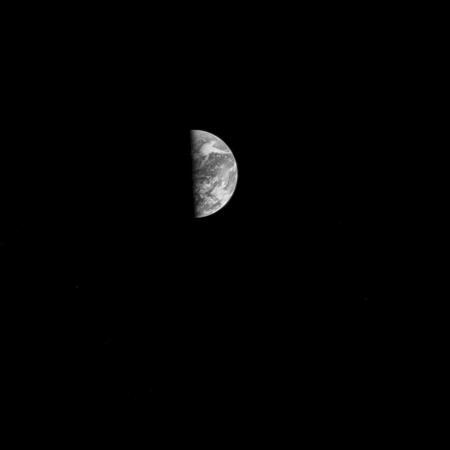 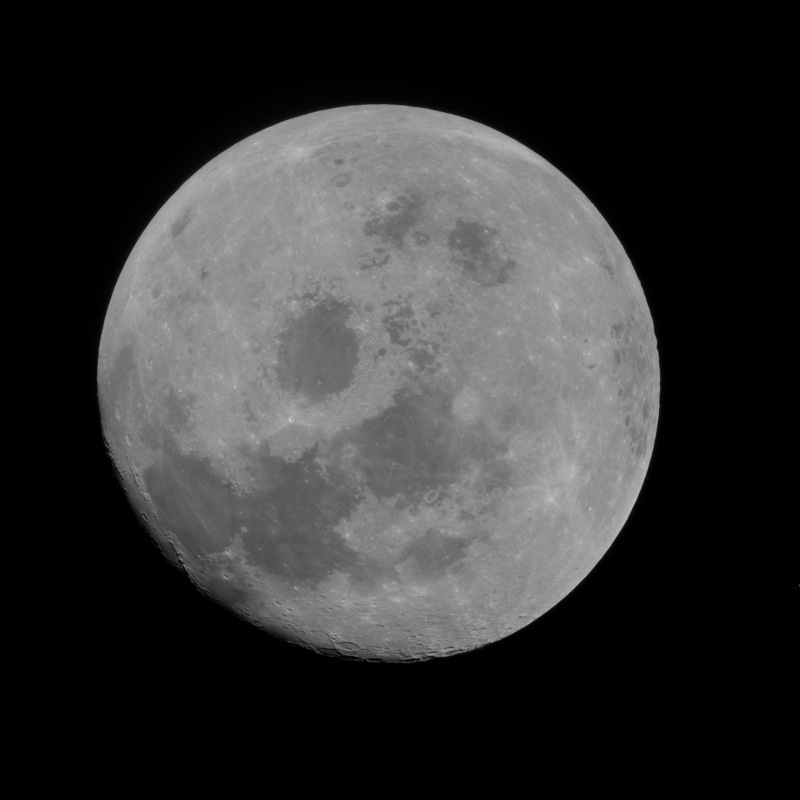 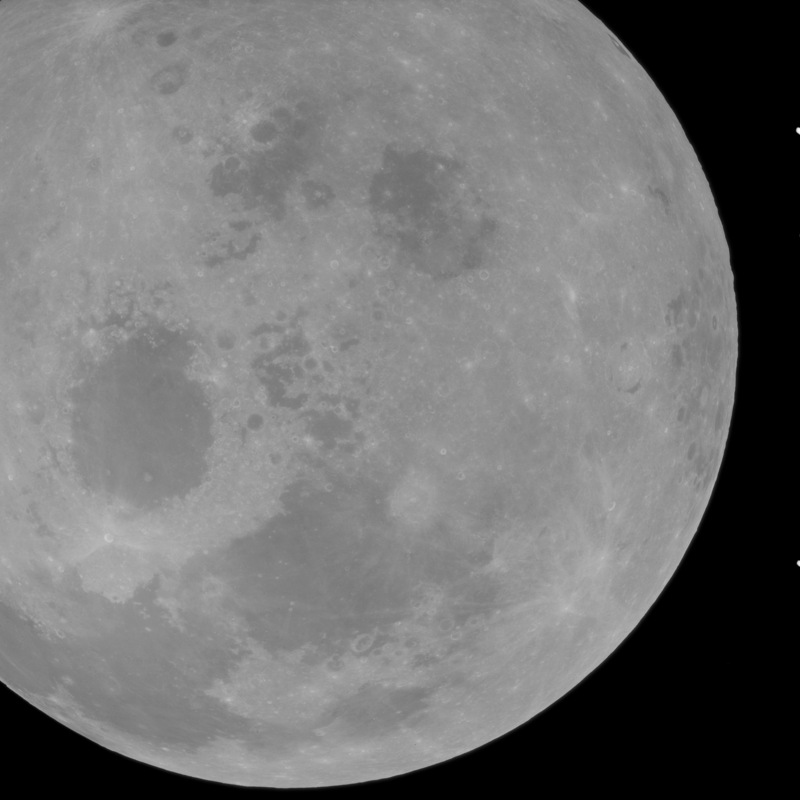 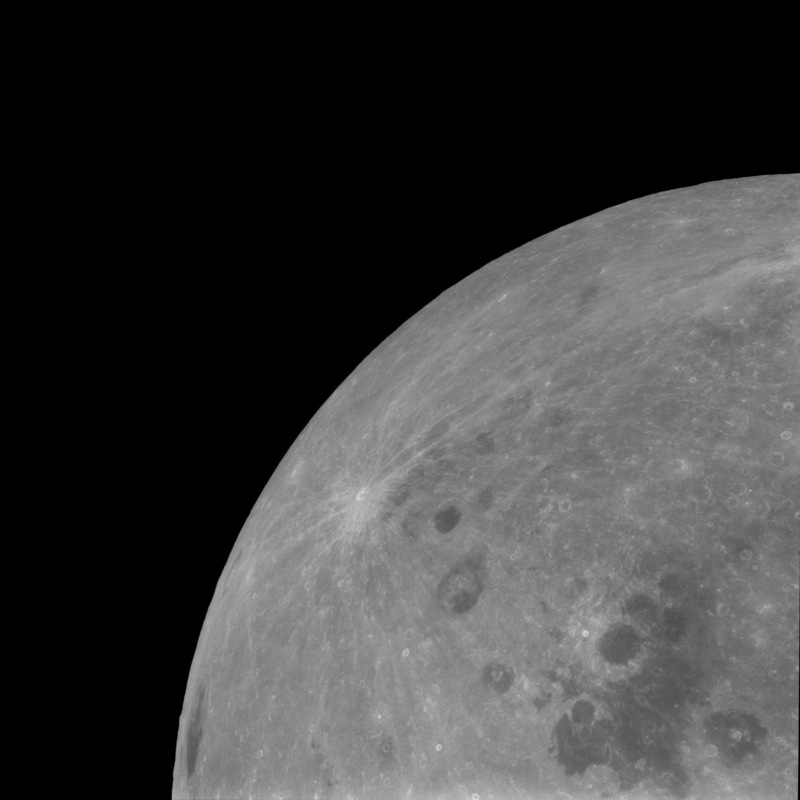 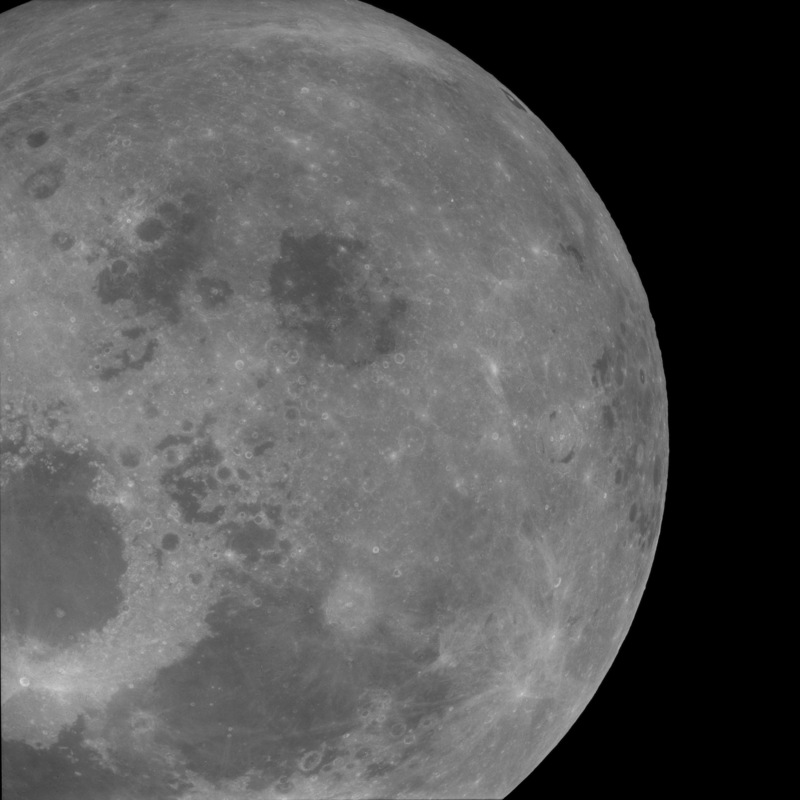 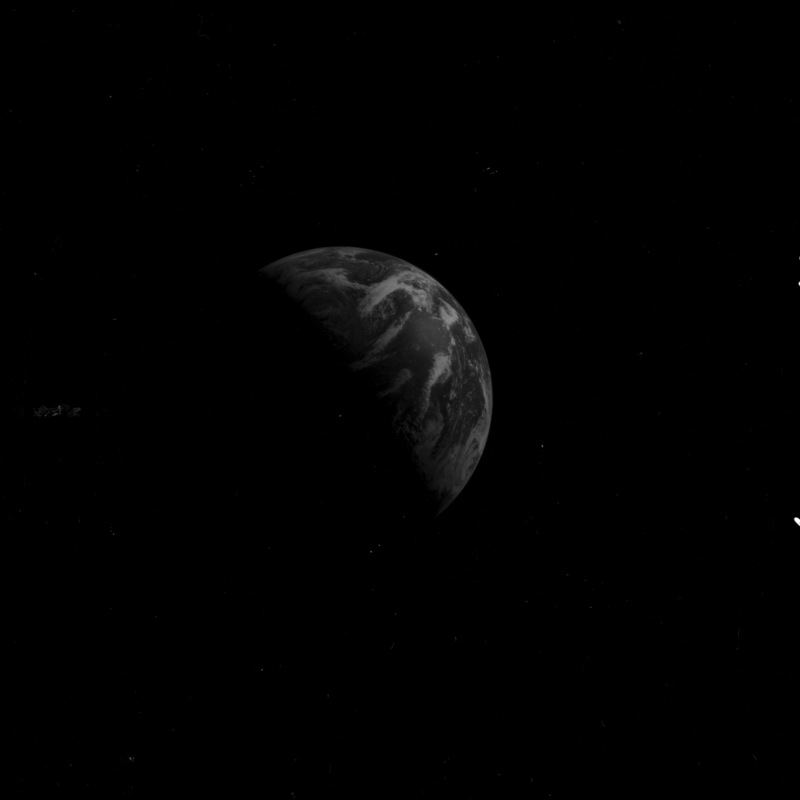 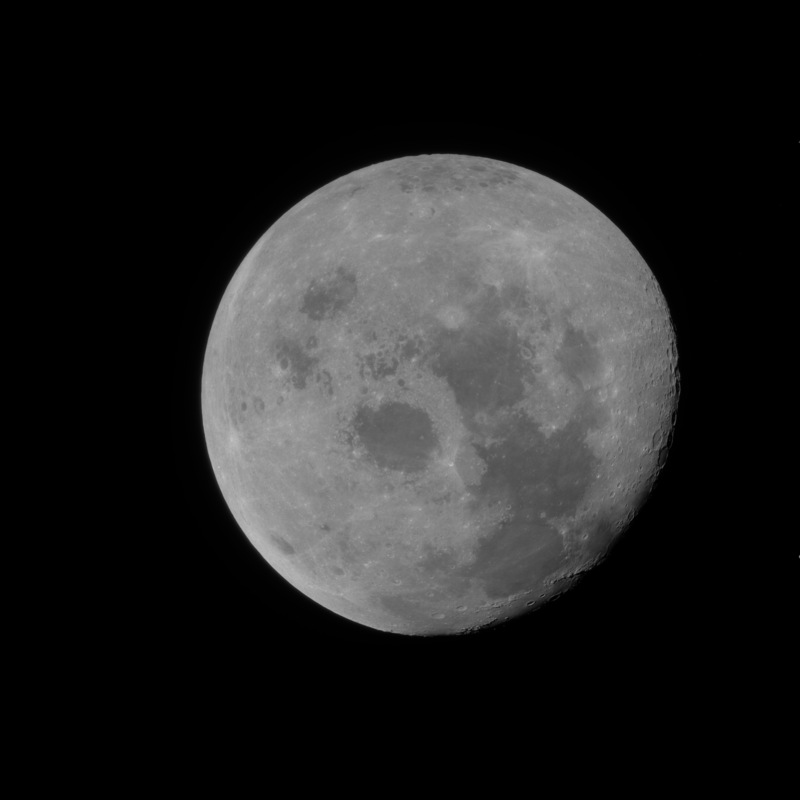 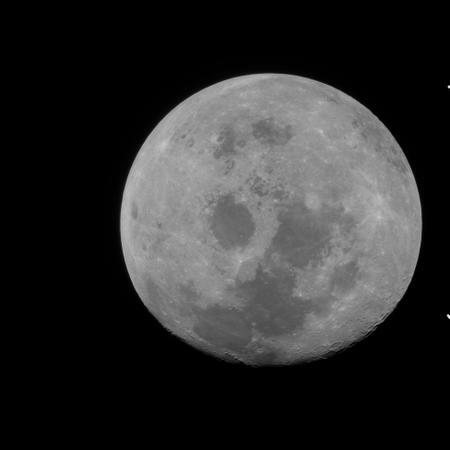 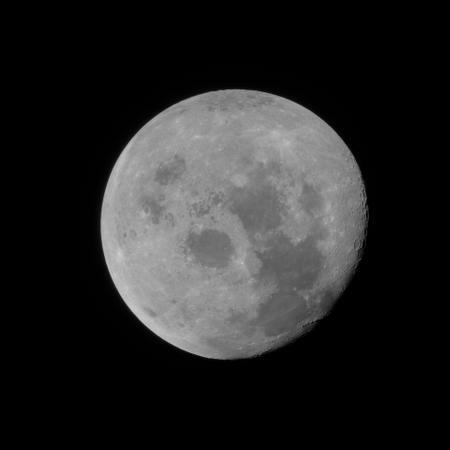 Receding Moon after trans-Earth injection. 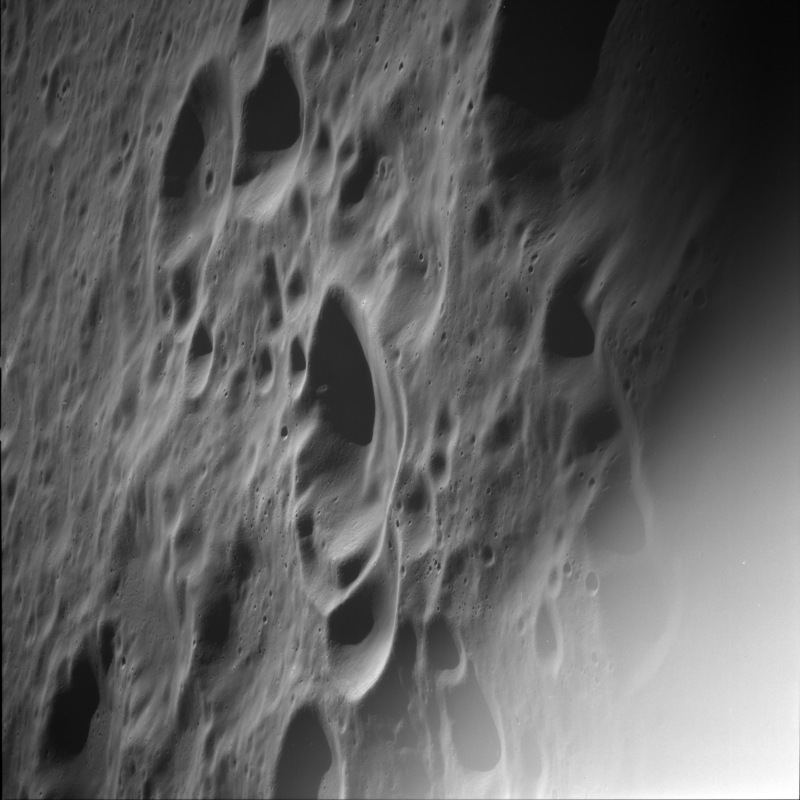 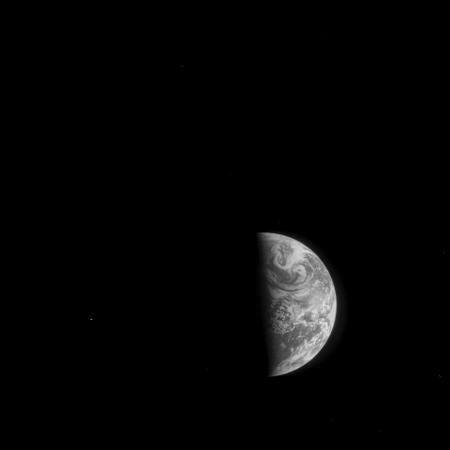 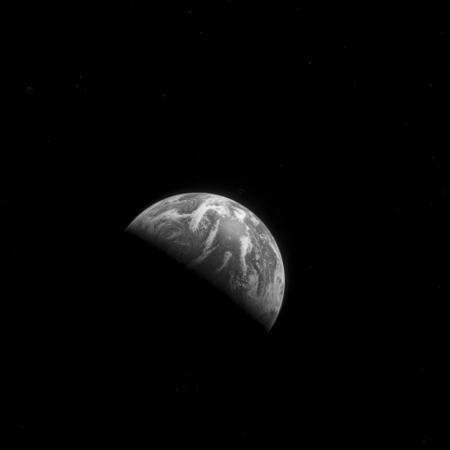 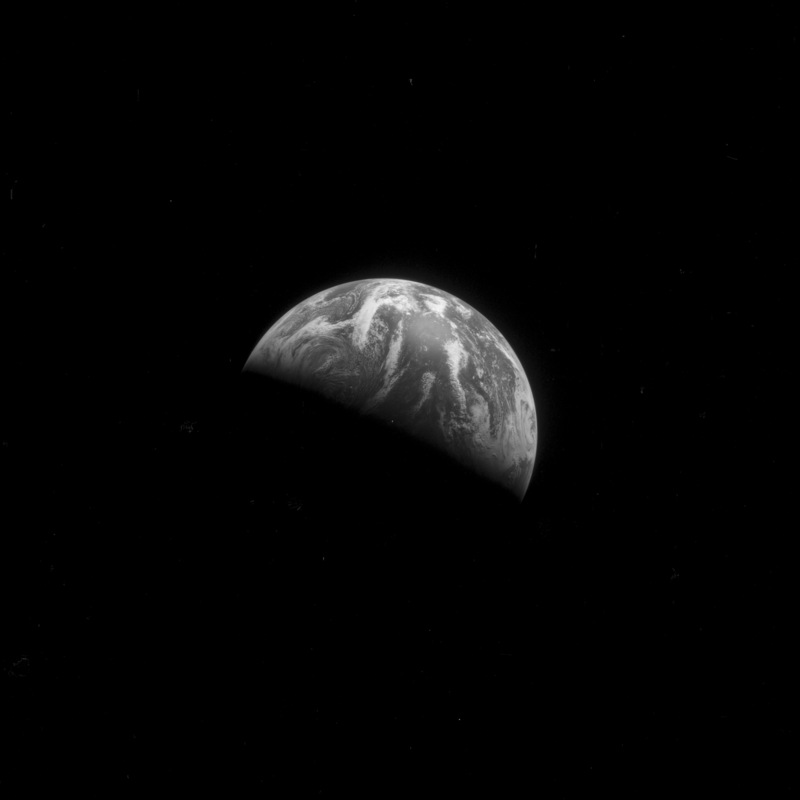 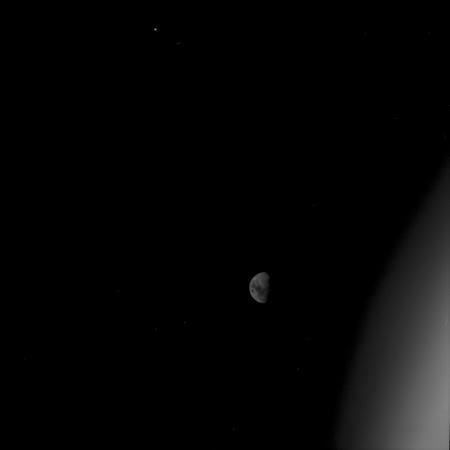 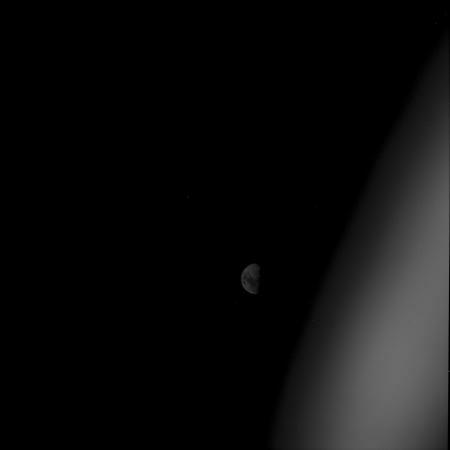 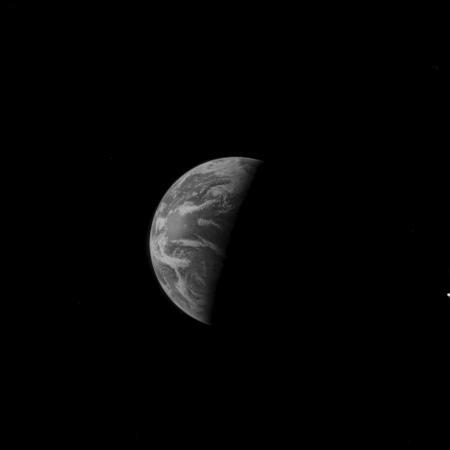 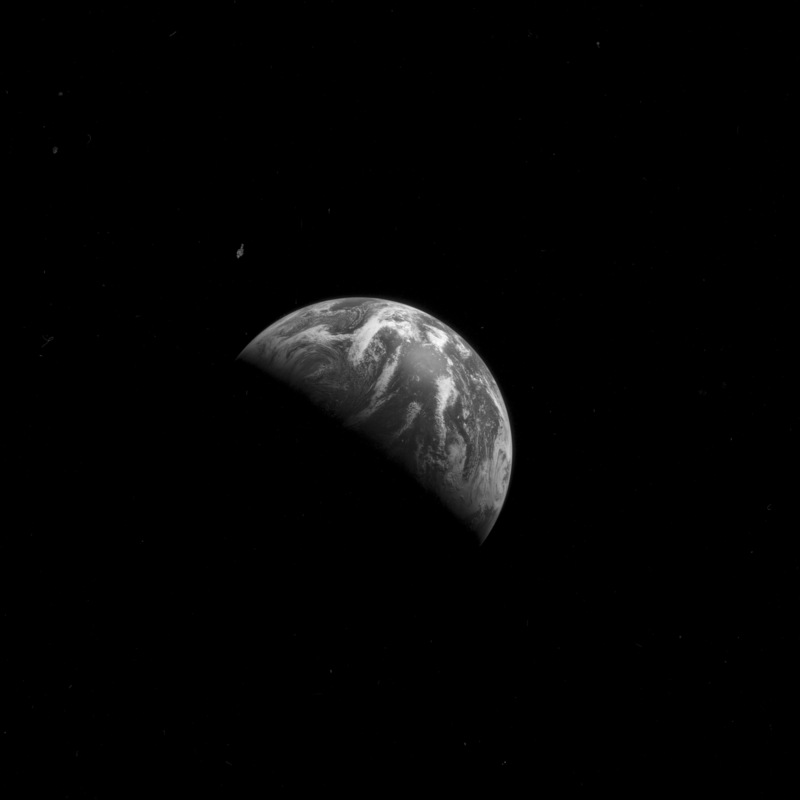 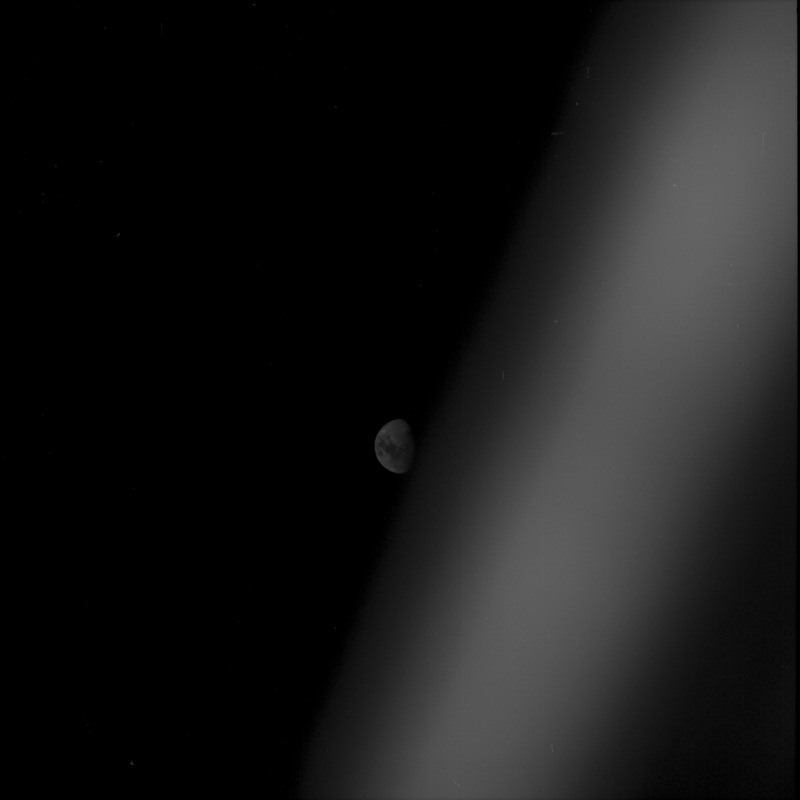 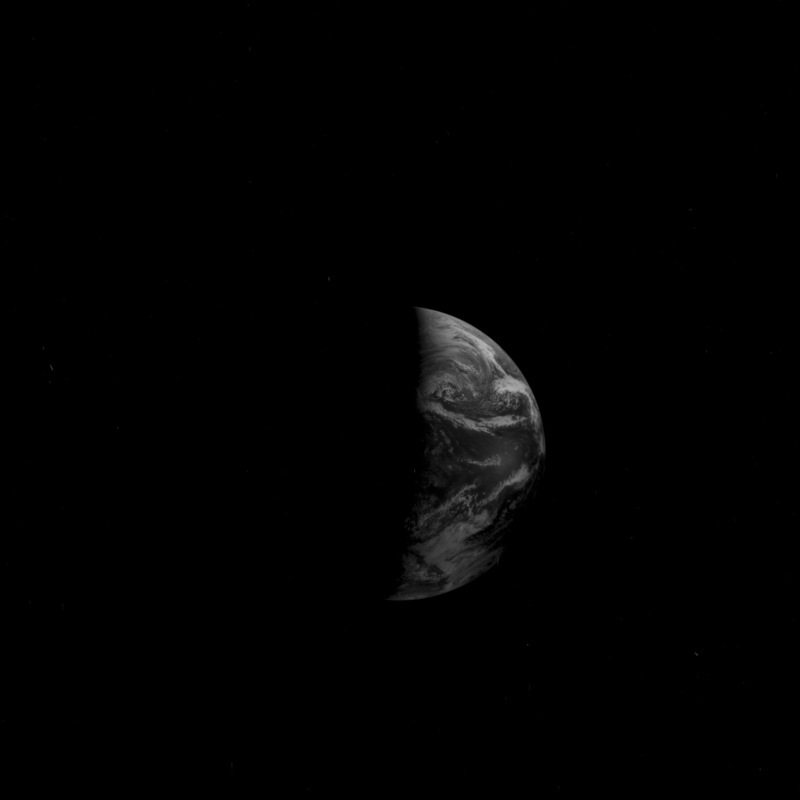 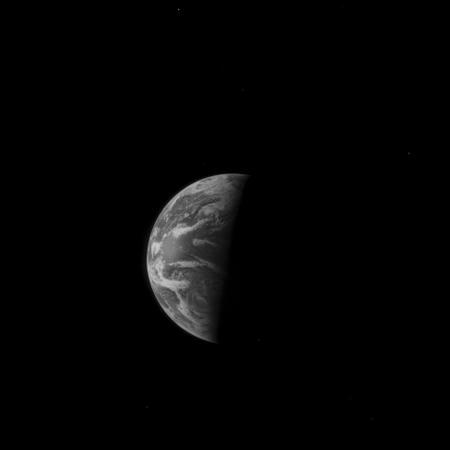 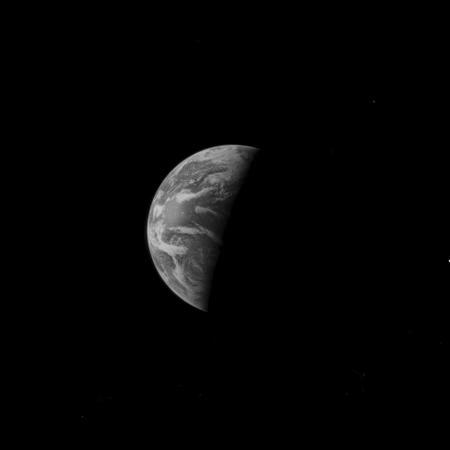 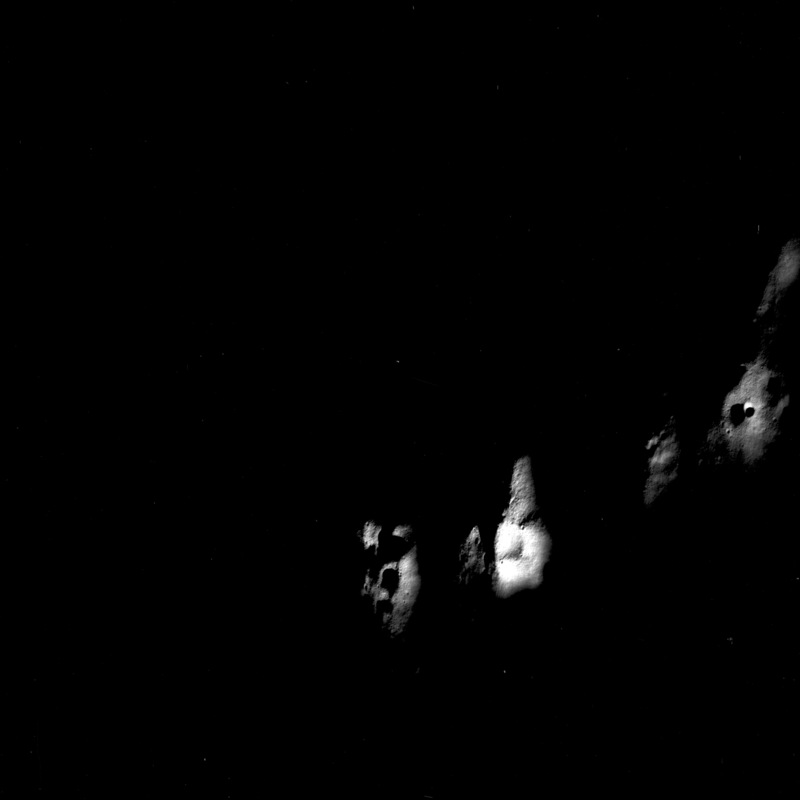 Mostly obscured Earth during trans-Earth coast.